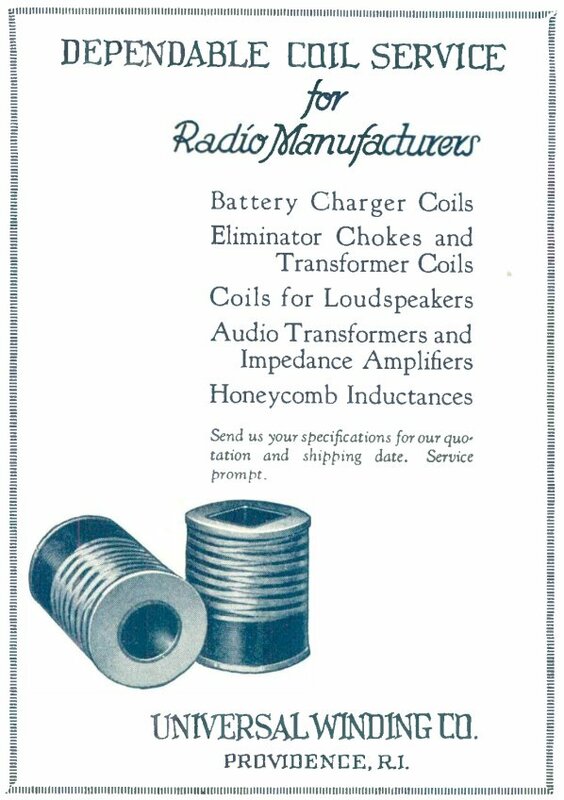 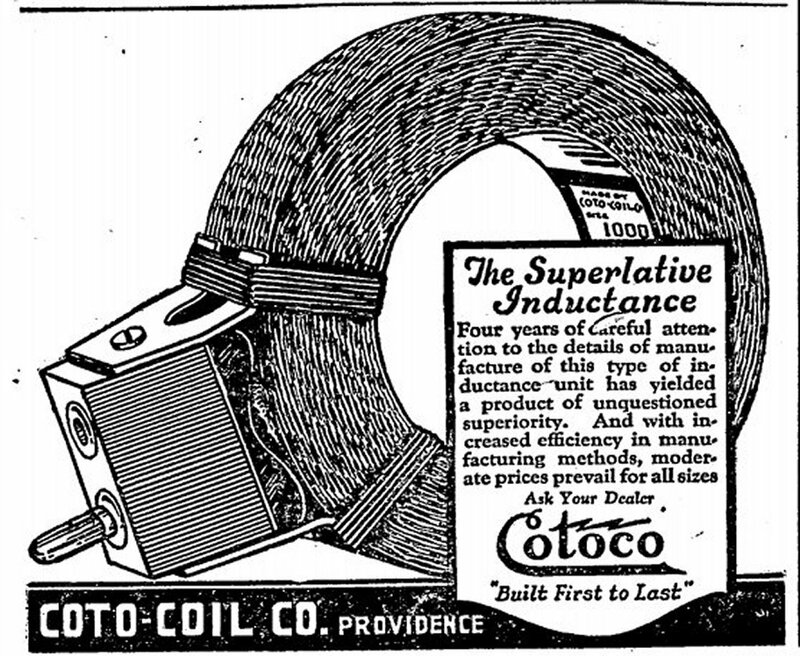 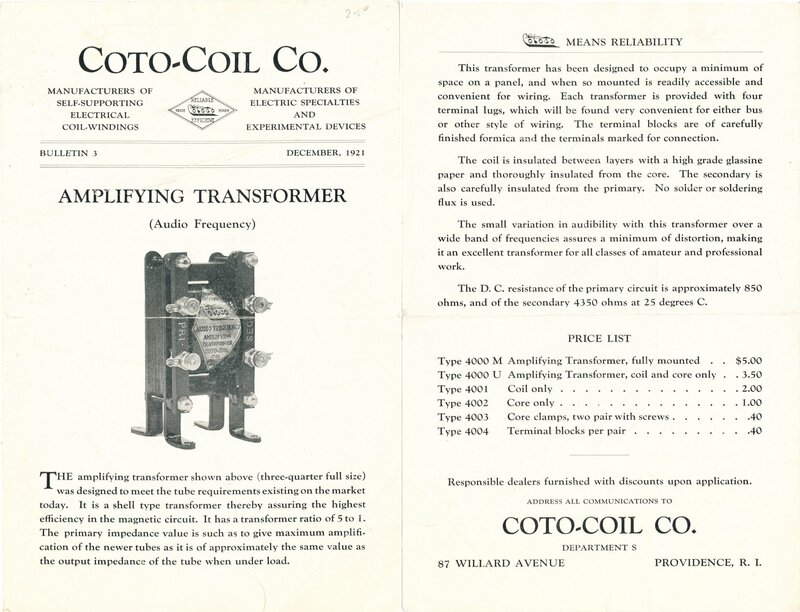 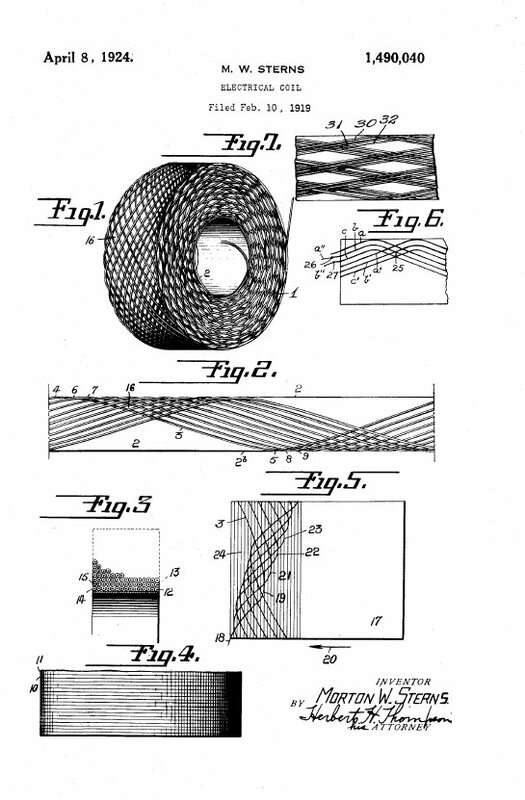 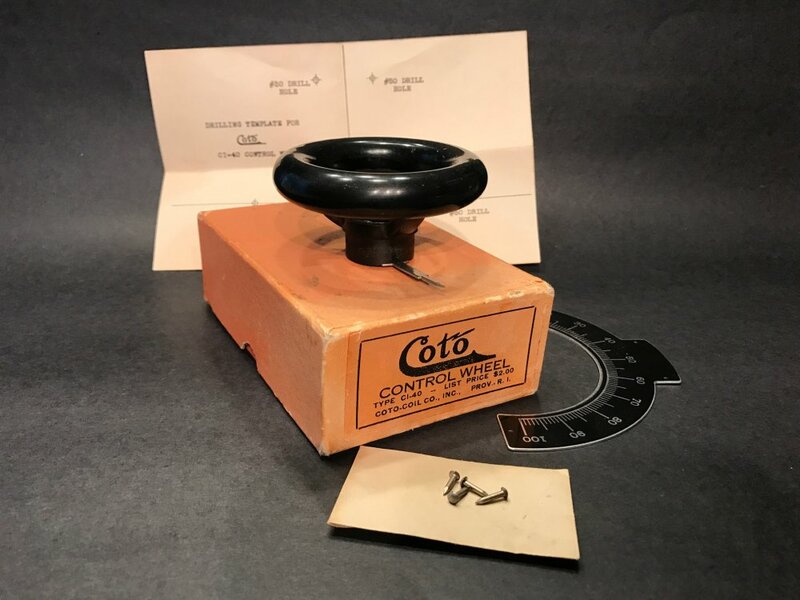 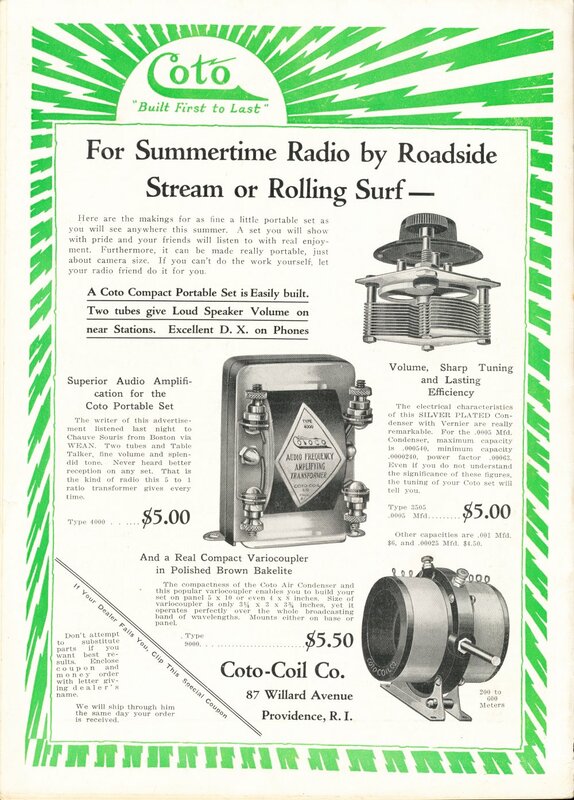 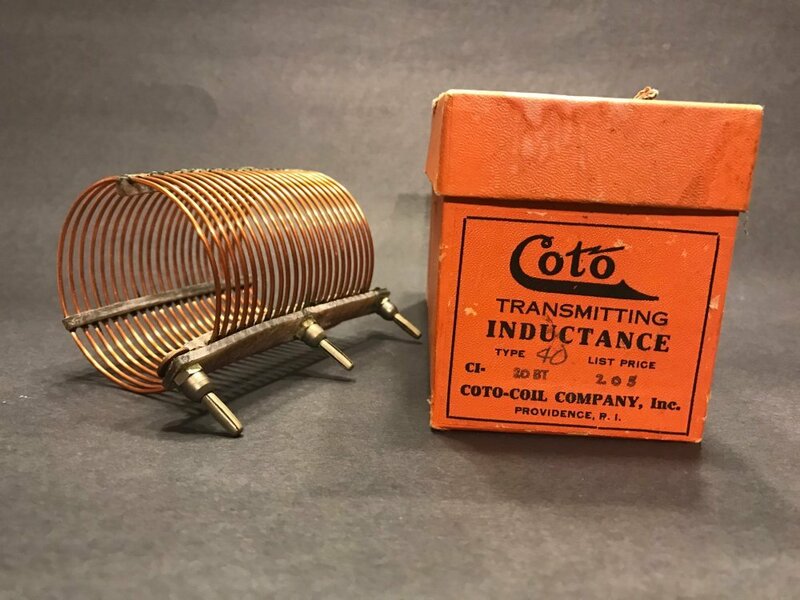 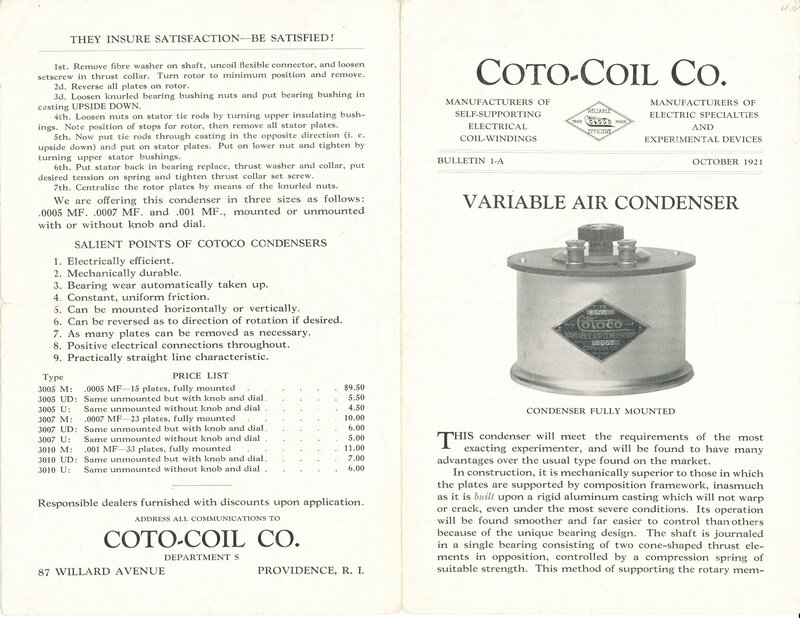 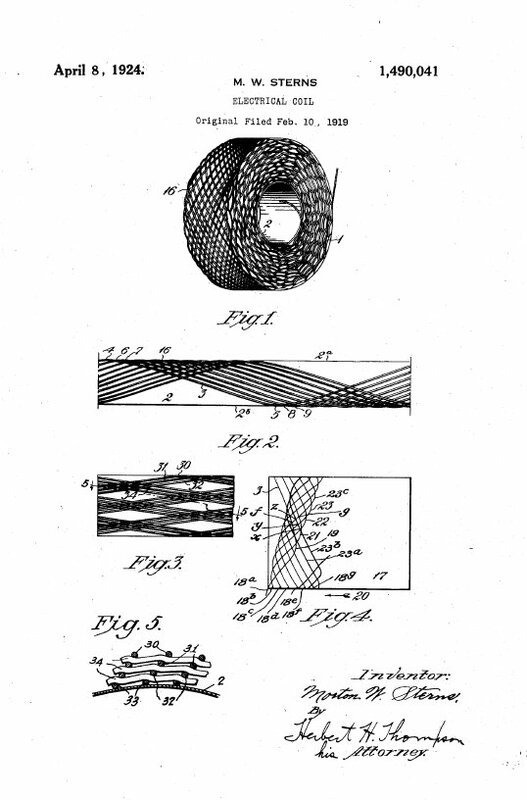 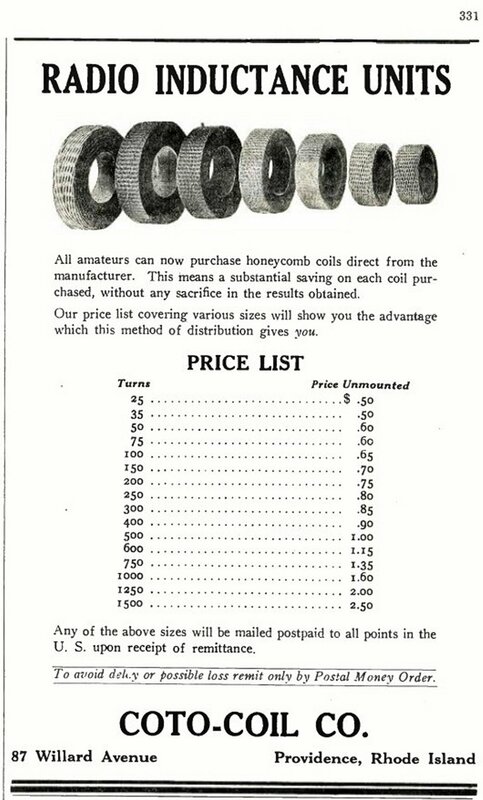 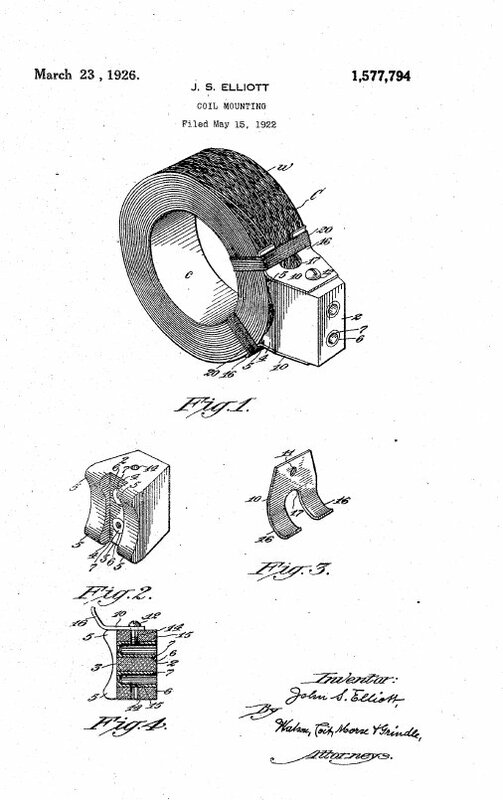 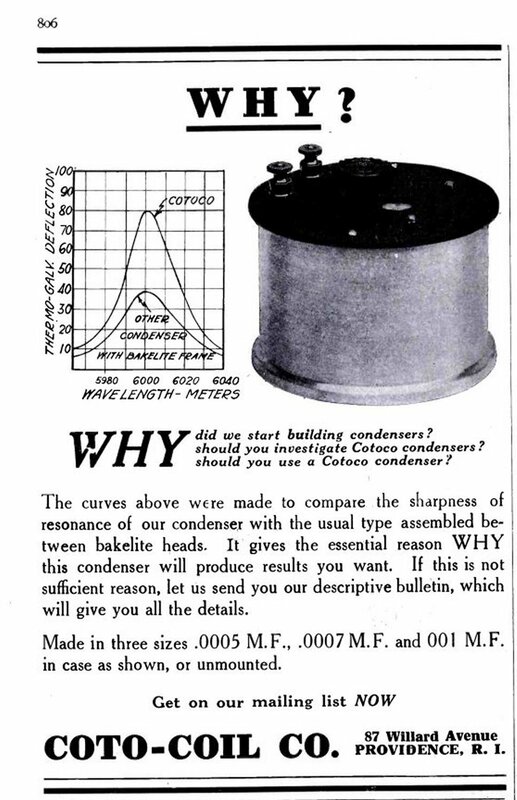 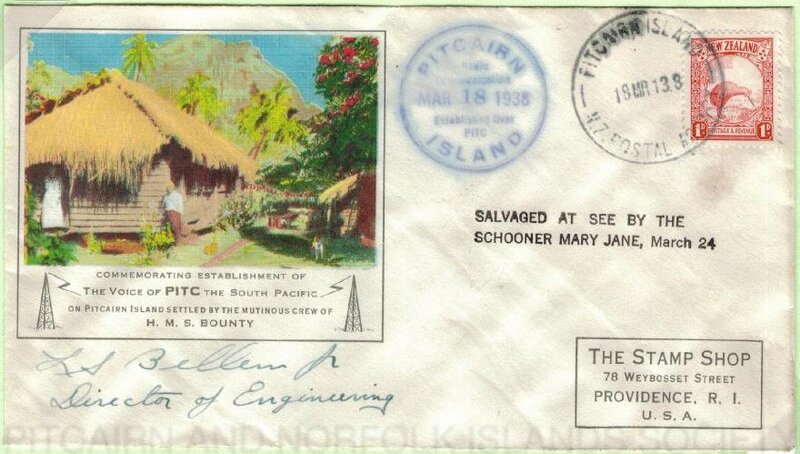 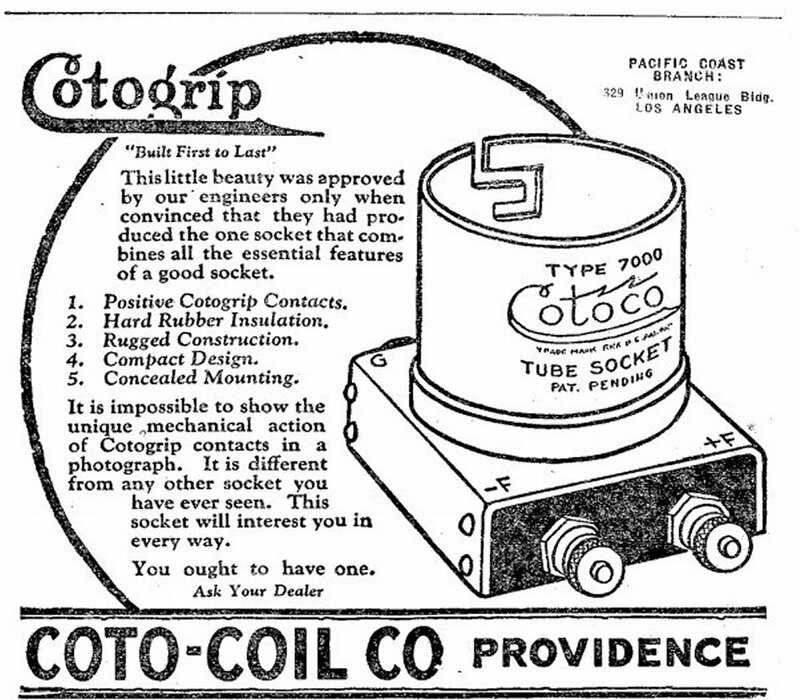 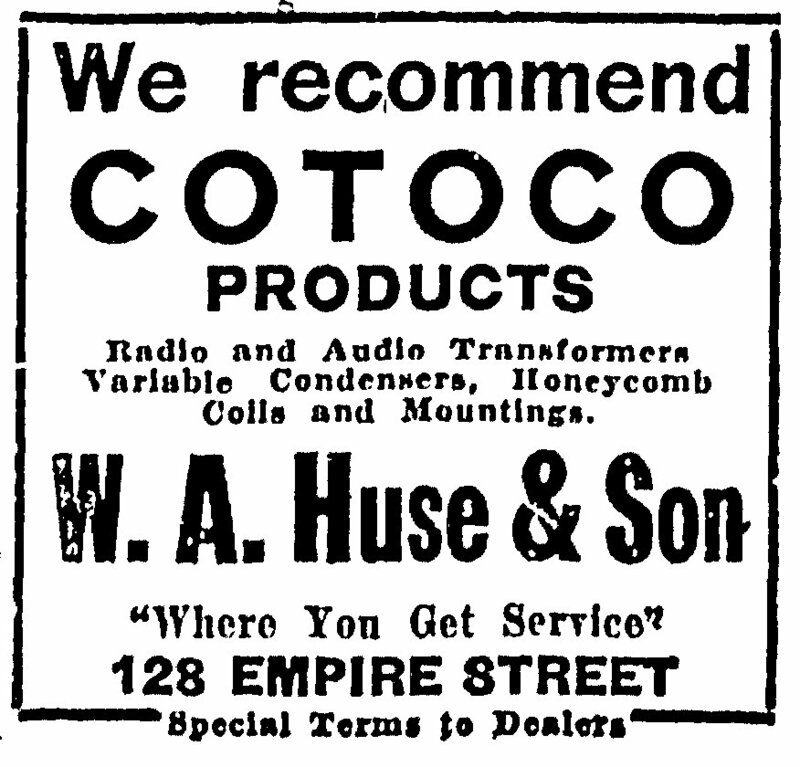 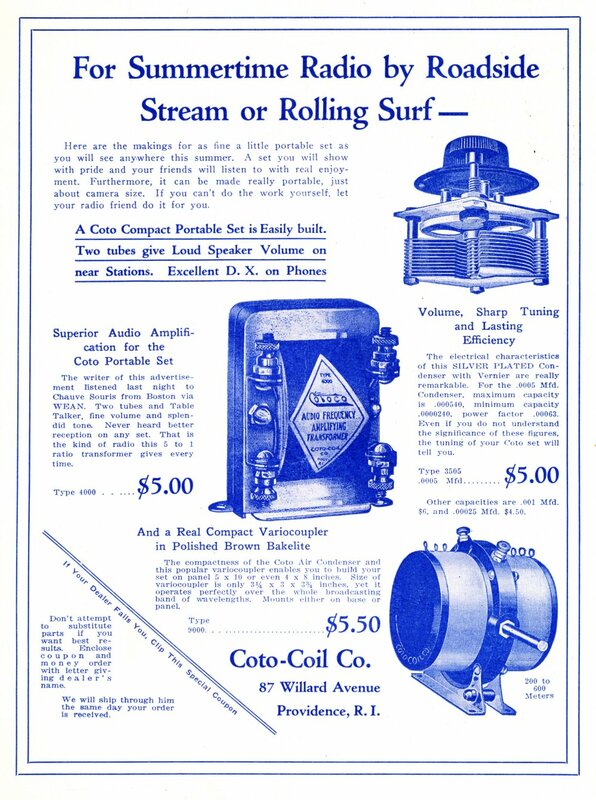 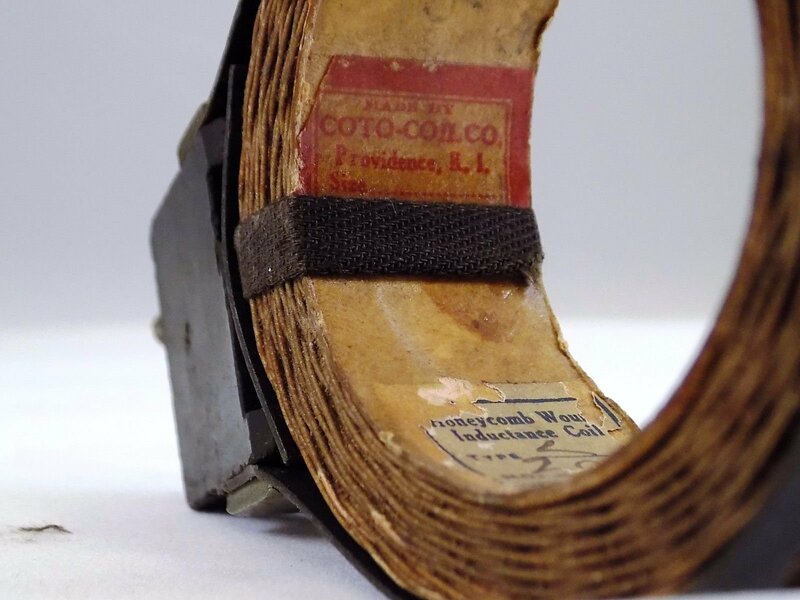 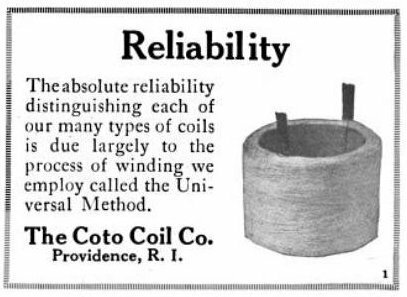 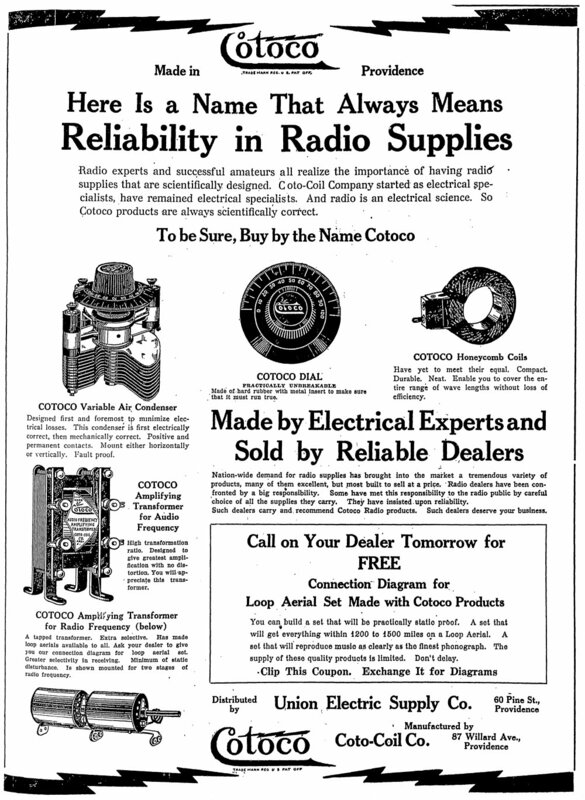 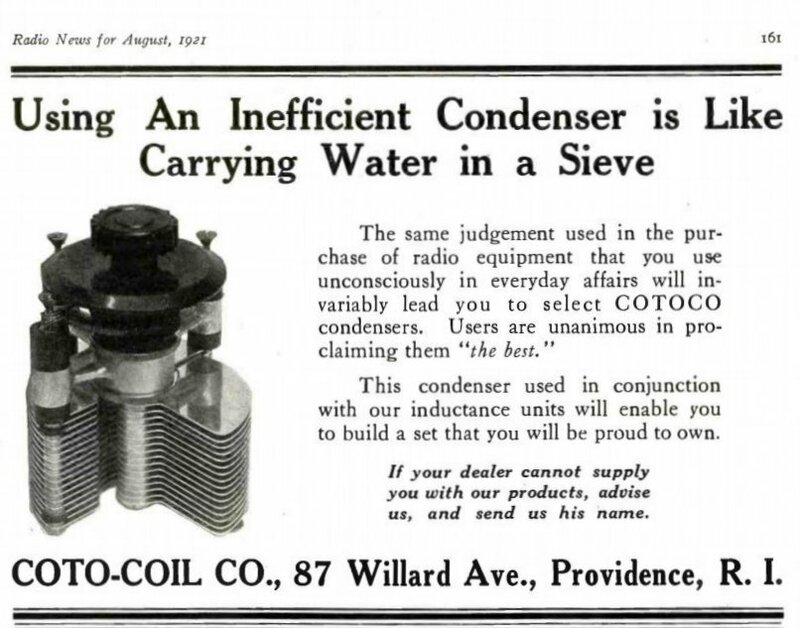 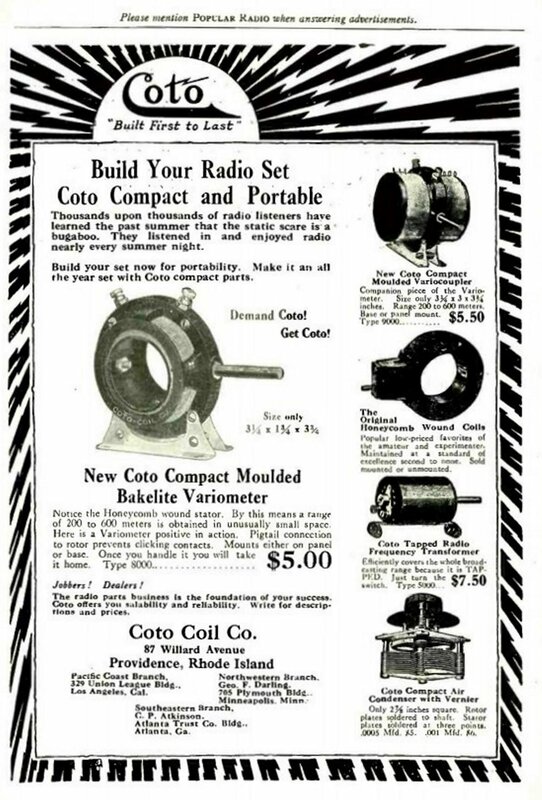 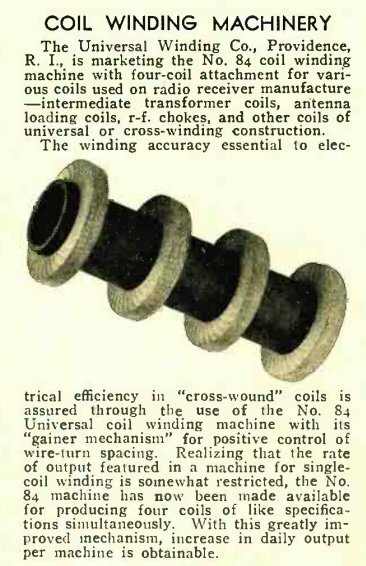 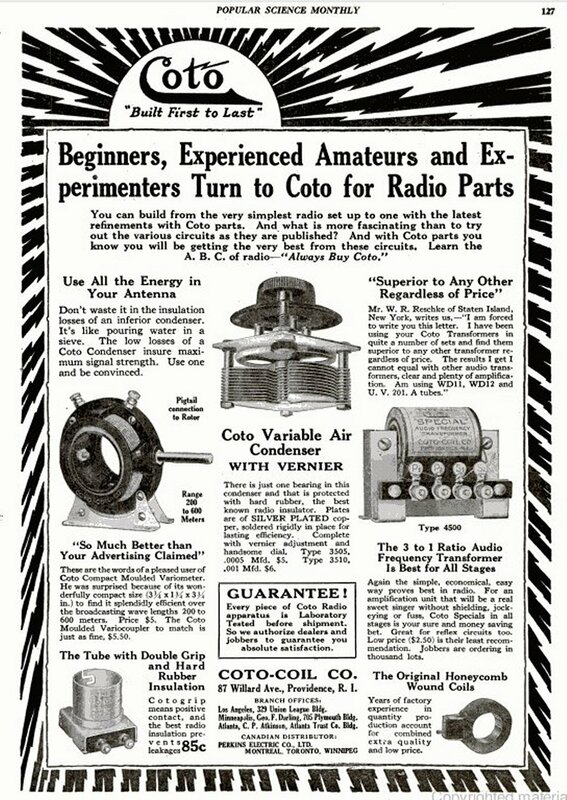 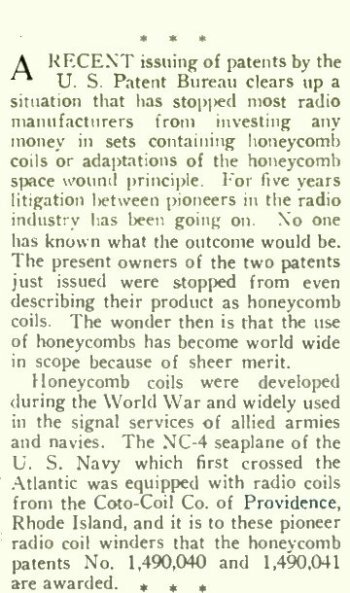 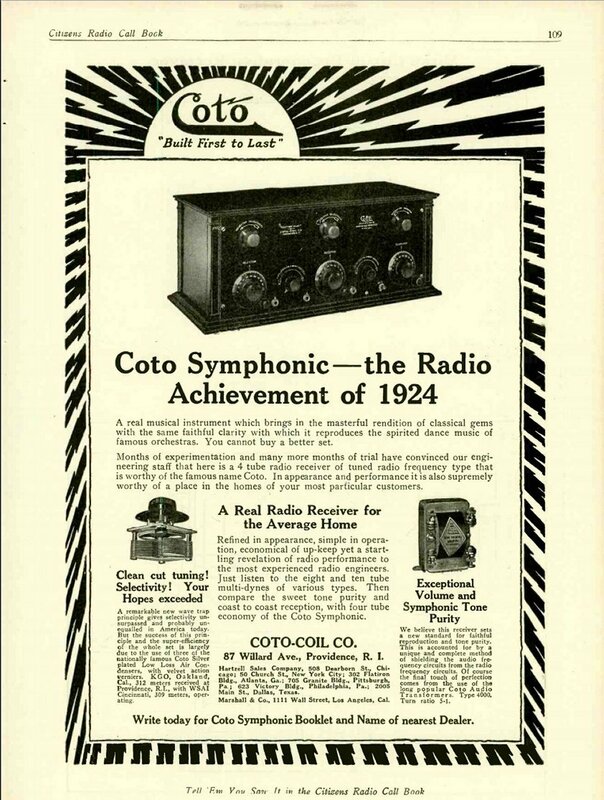 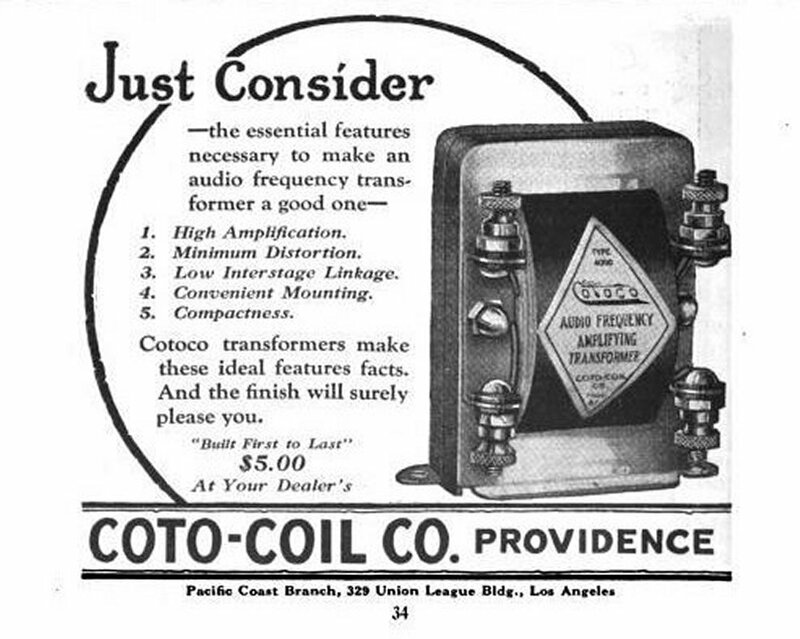 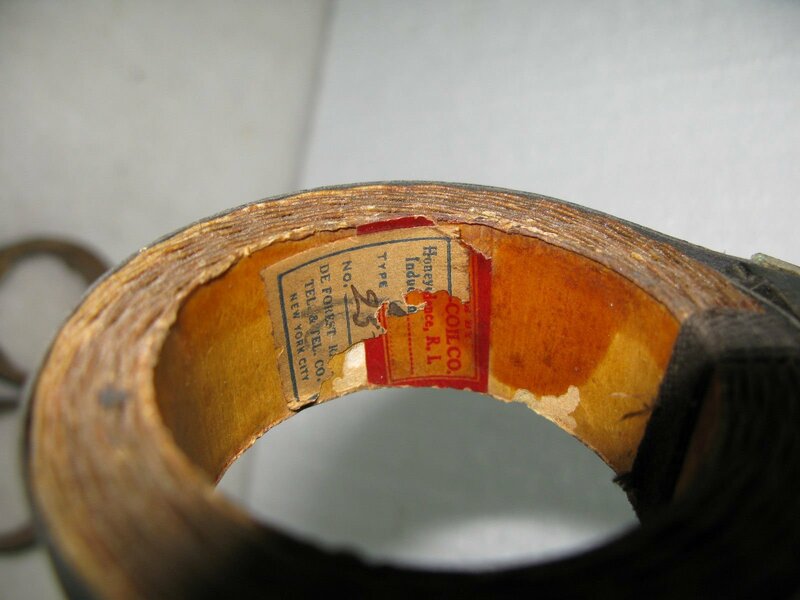 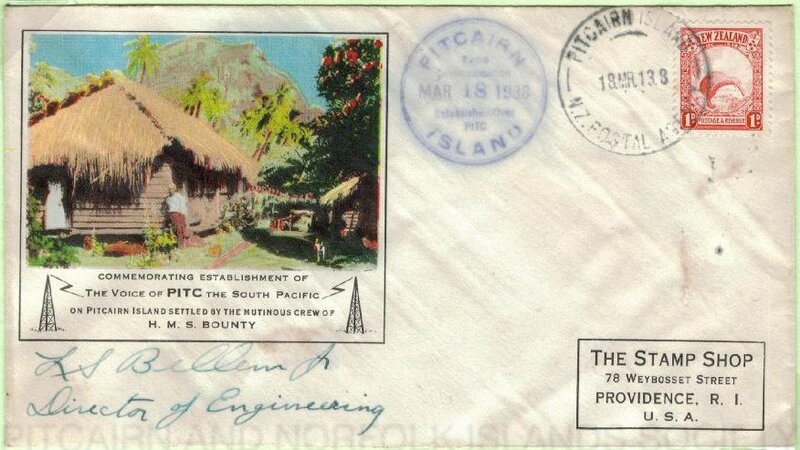 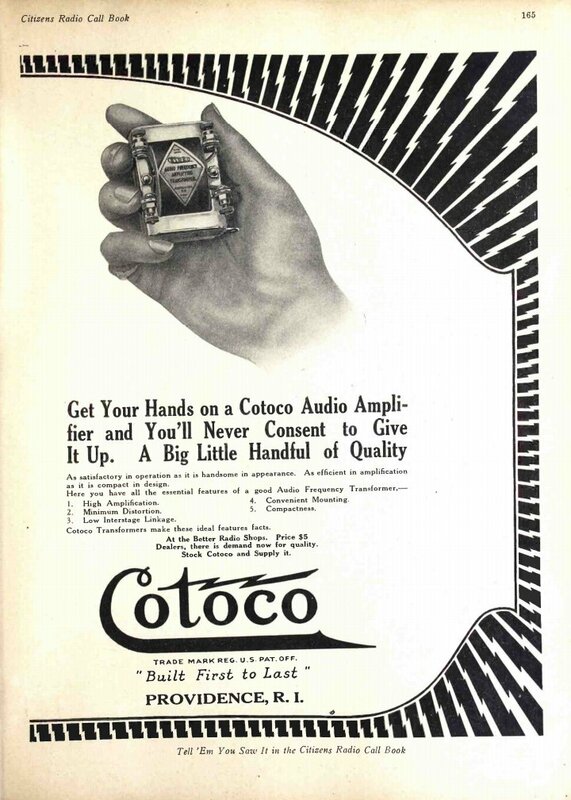 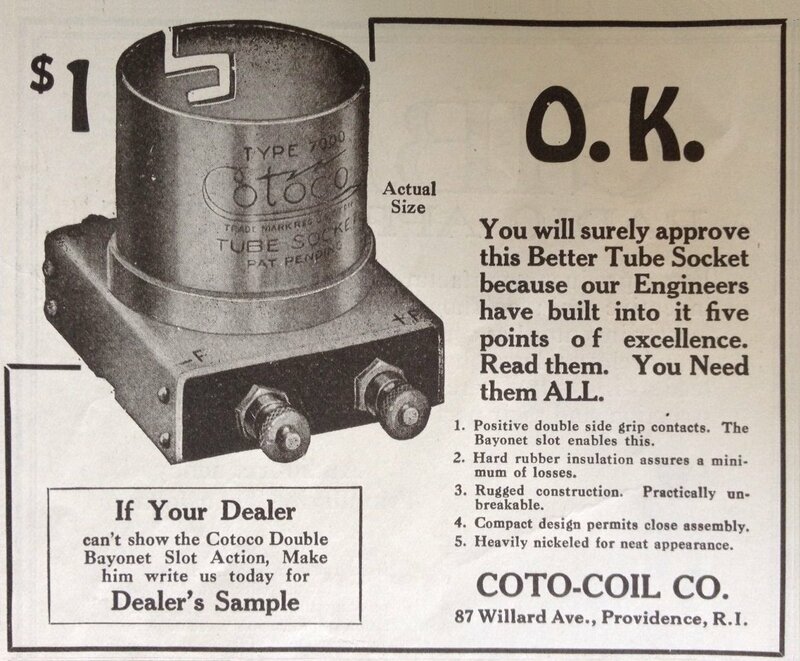 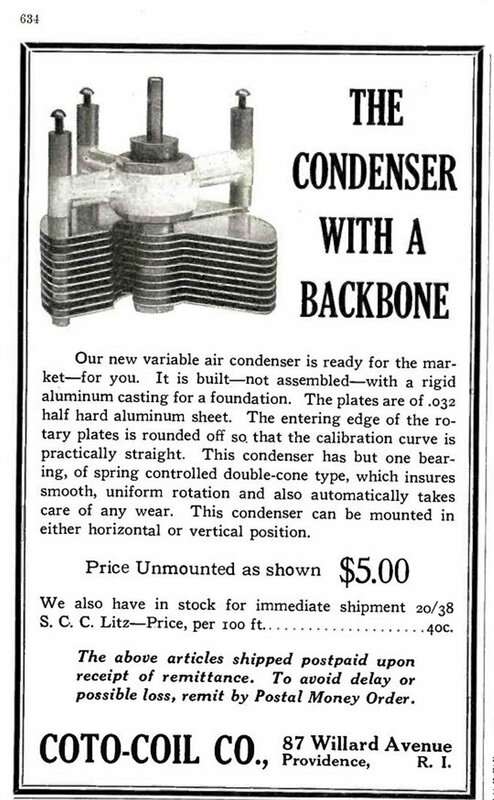 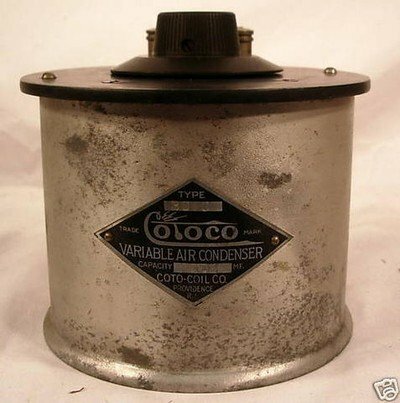 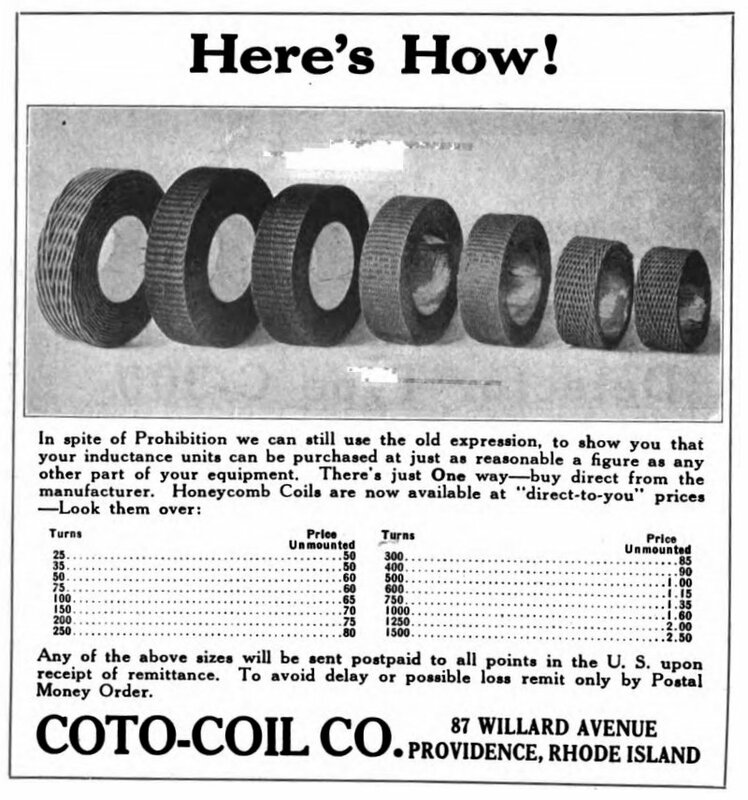 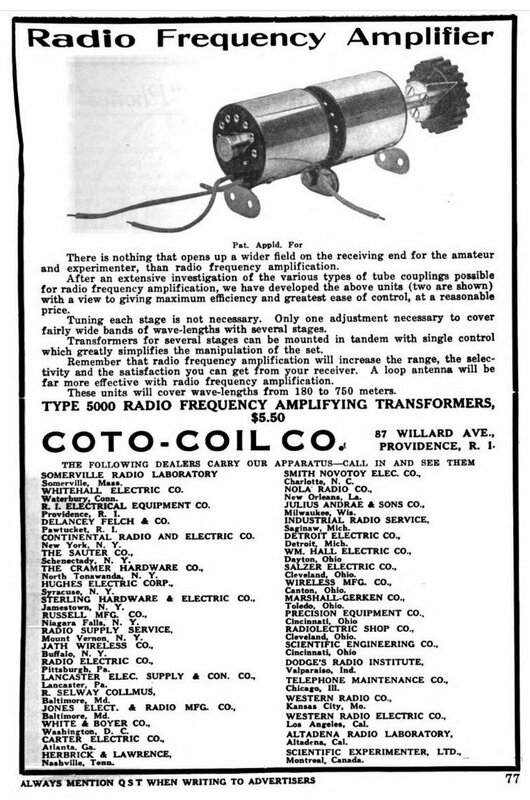 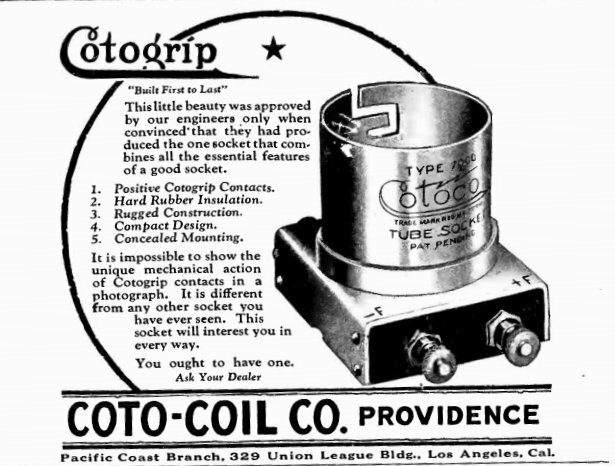 Coto-Coil Company is still in business today. 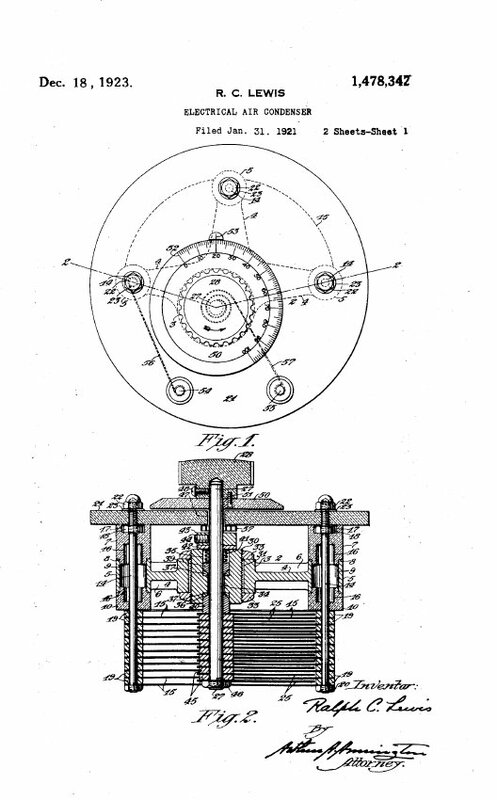 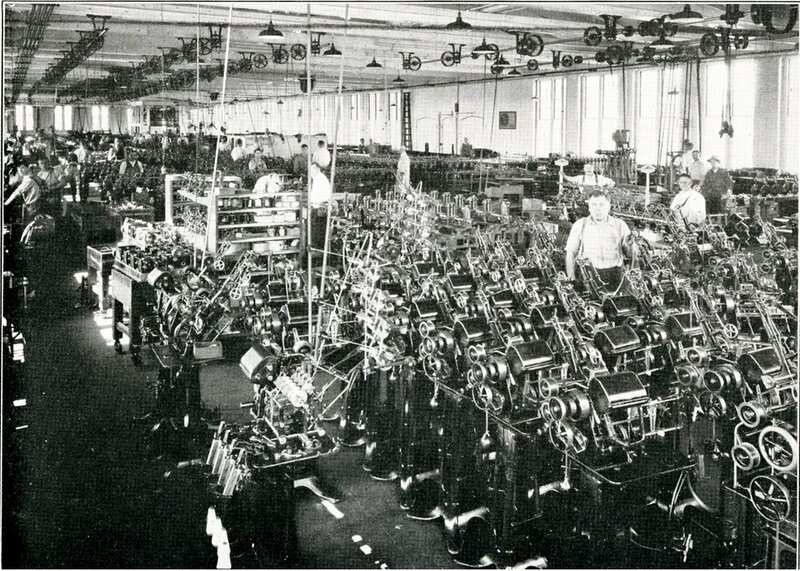 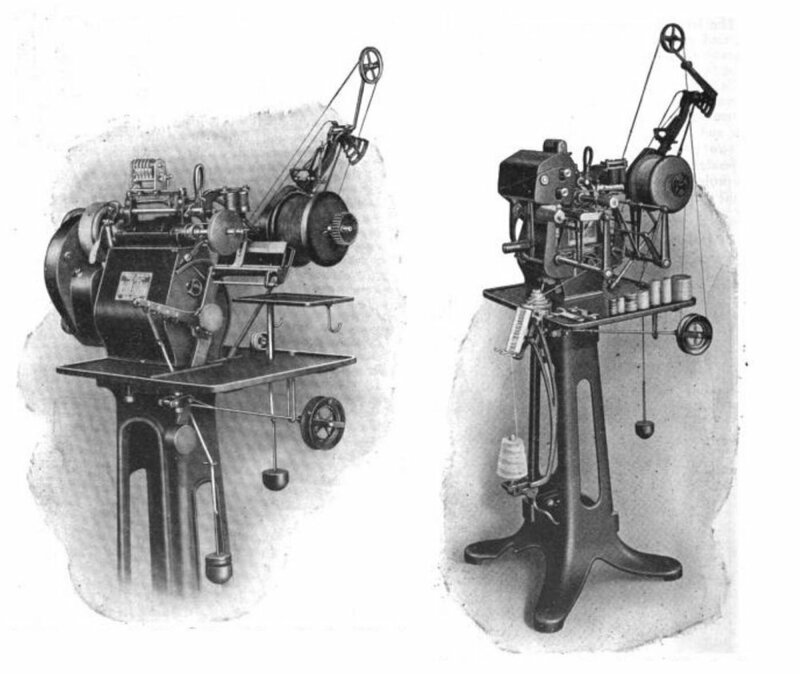 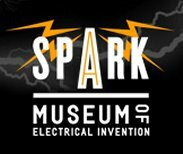 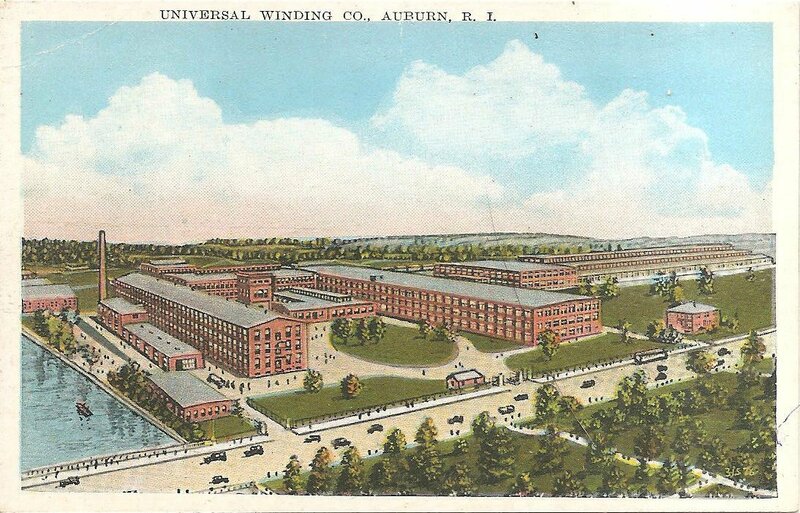 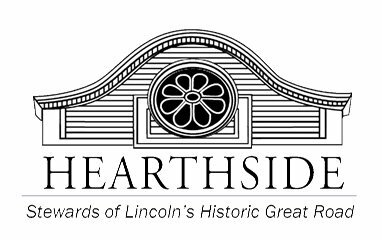 Origionally started by Universal Winding Co. of Providence, RI, who made the machines that were used in the textile industry 2. 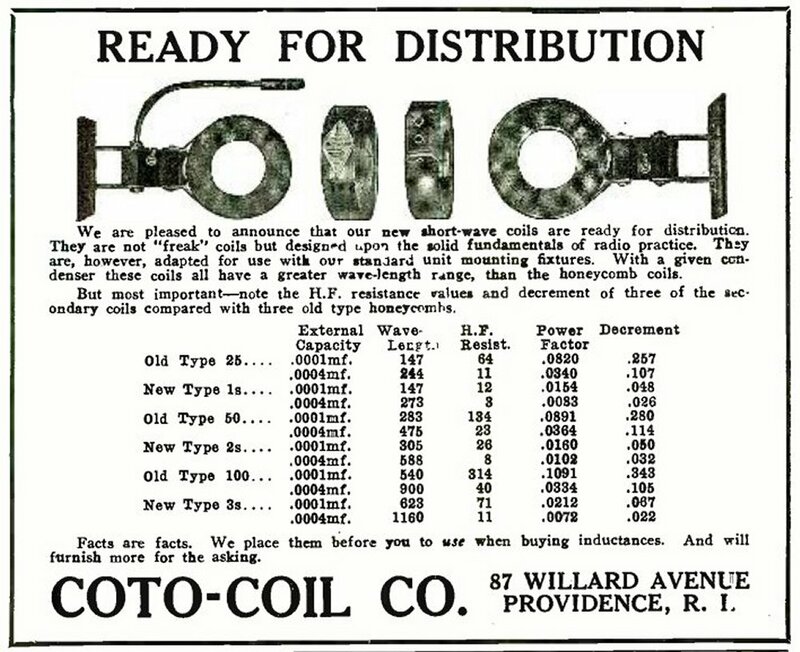 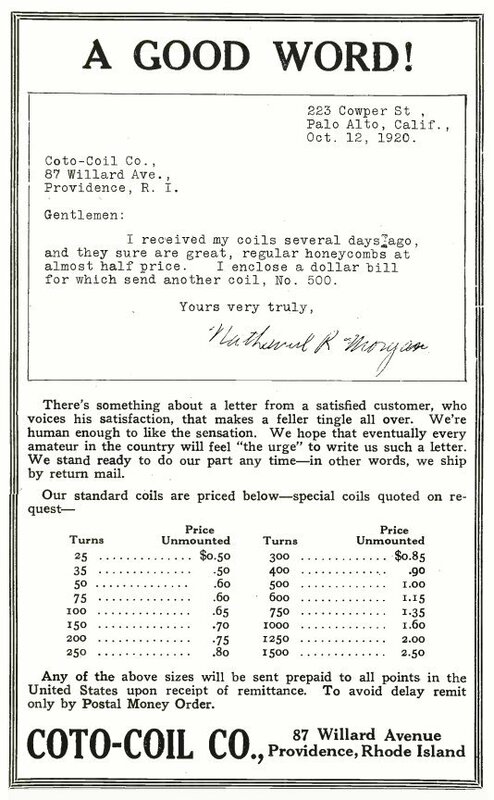 With $100,000 in capital stock Coto-Coil was founded in 1917 by Rob A Leeson 1, one of its principle leaders was Thomas P Giblin. 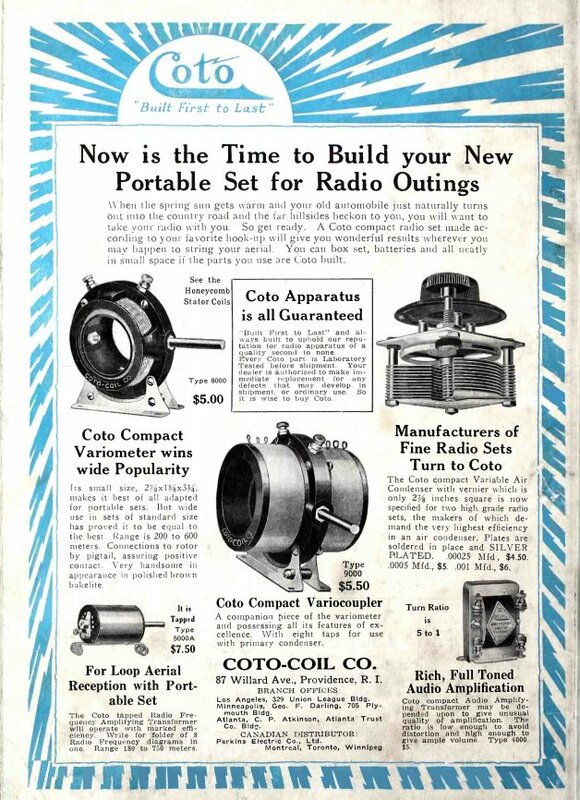 Coto Technology is still in business today. 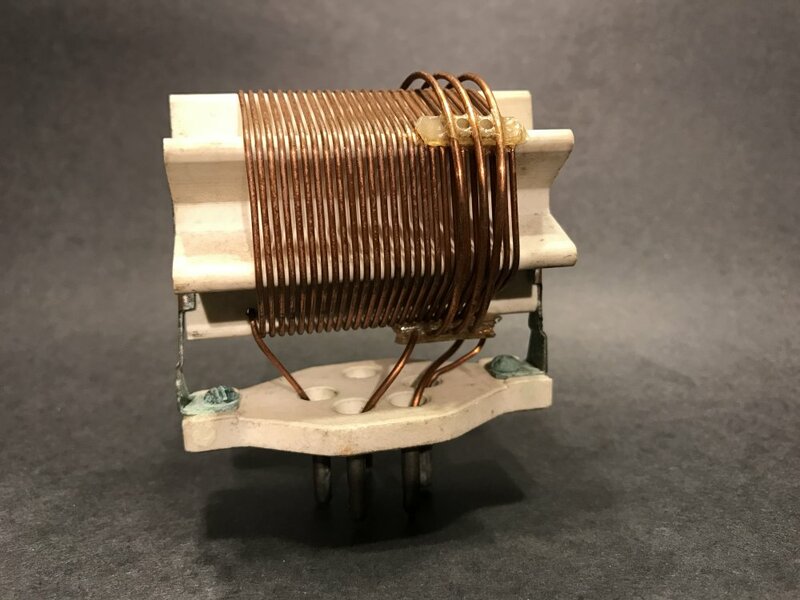 Their tag line now is "The World Leader in Small Signal Switching Solutions", and their products today include, Reed relays and Switches, Mosfet relays, and the world's smallest reed sensor. 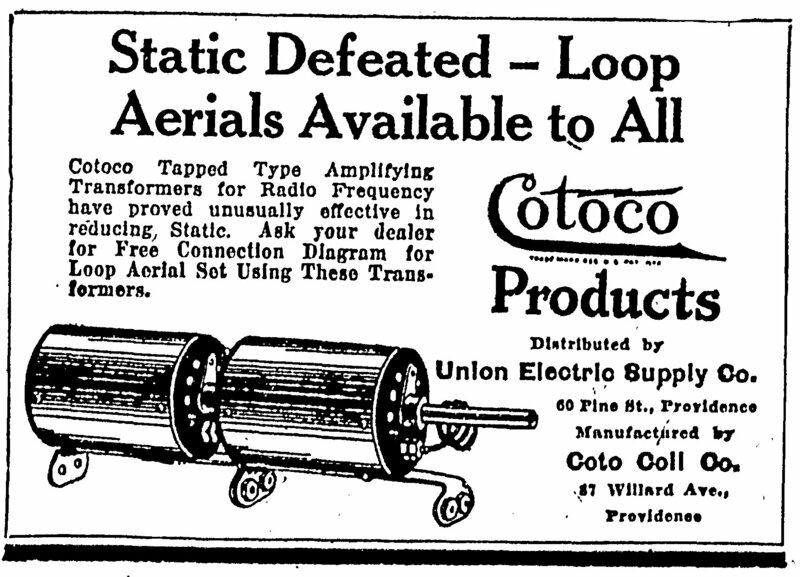 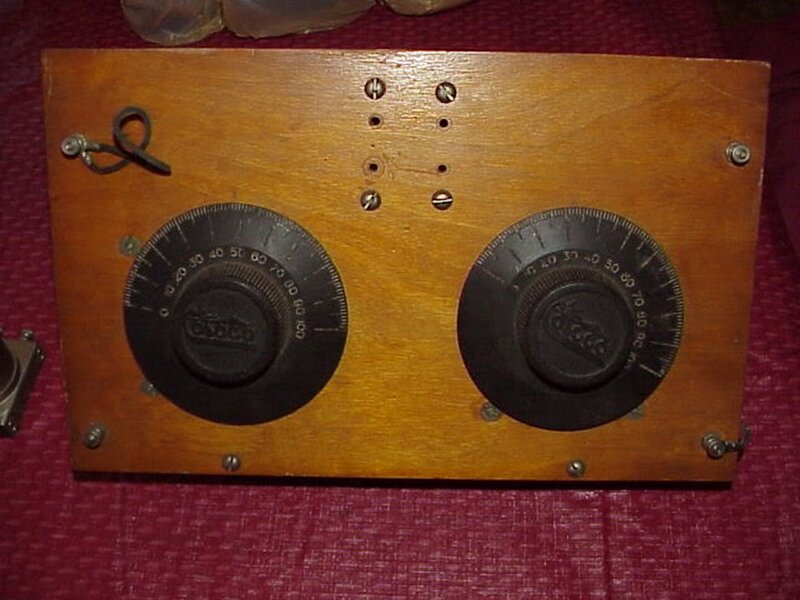 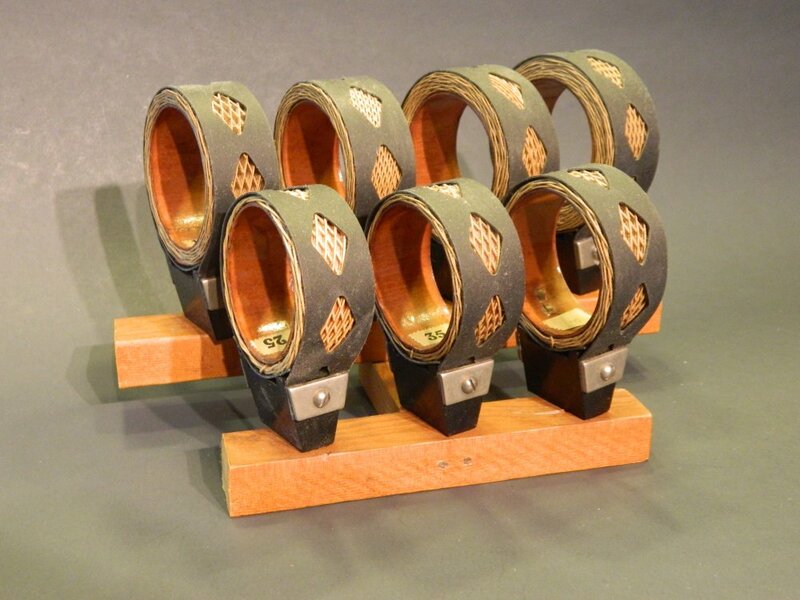 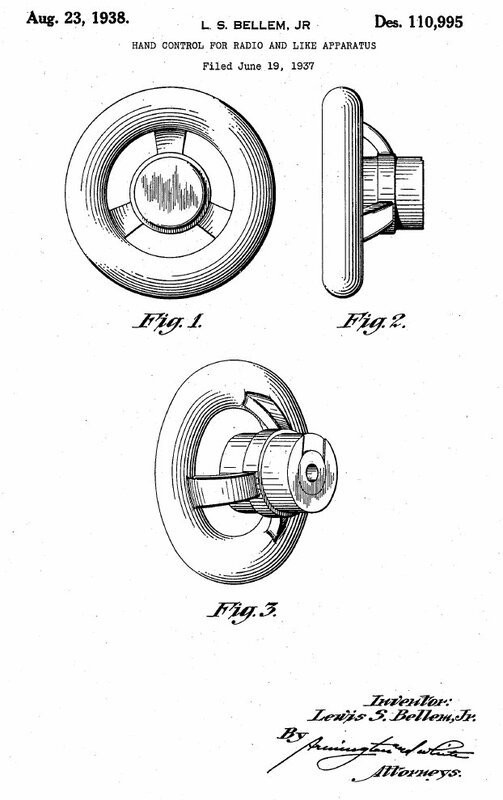 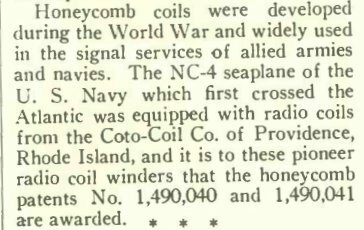 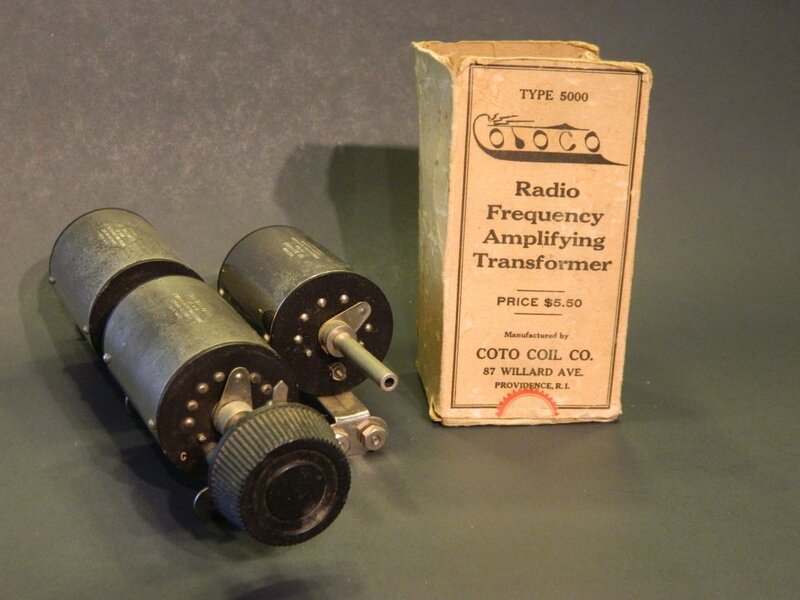 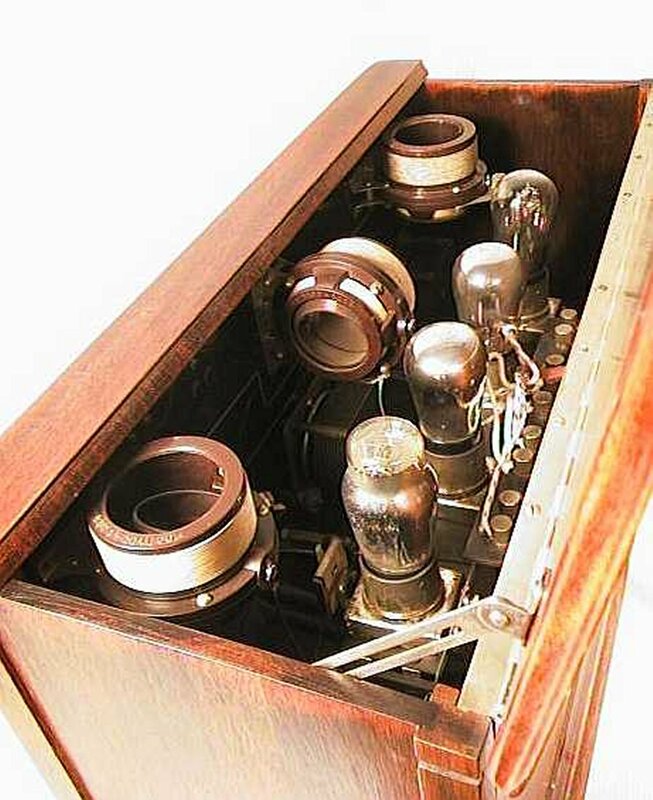 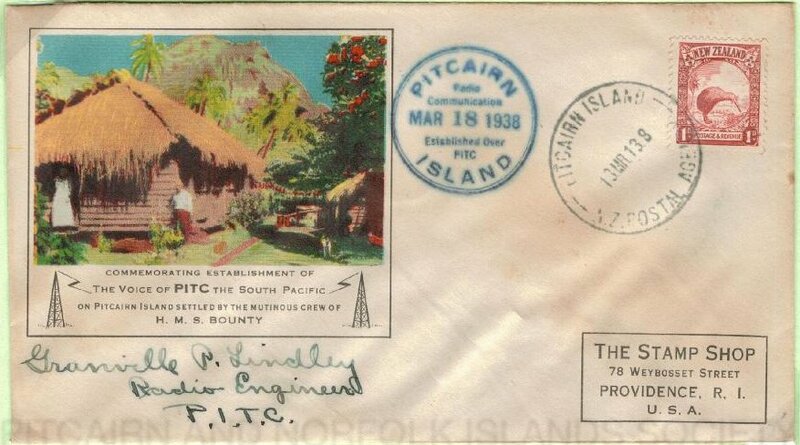 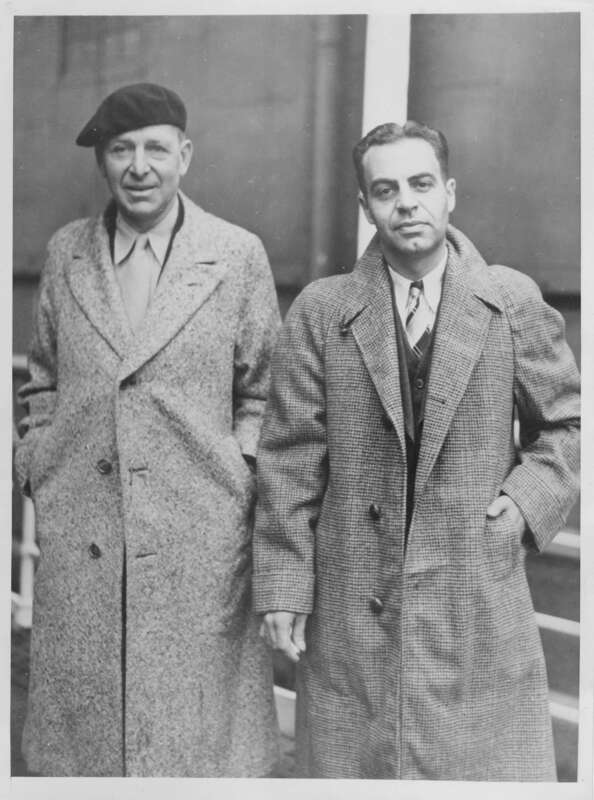 In the late teens and twenties they were the leader in Radio related coils. 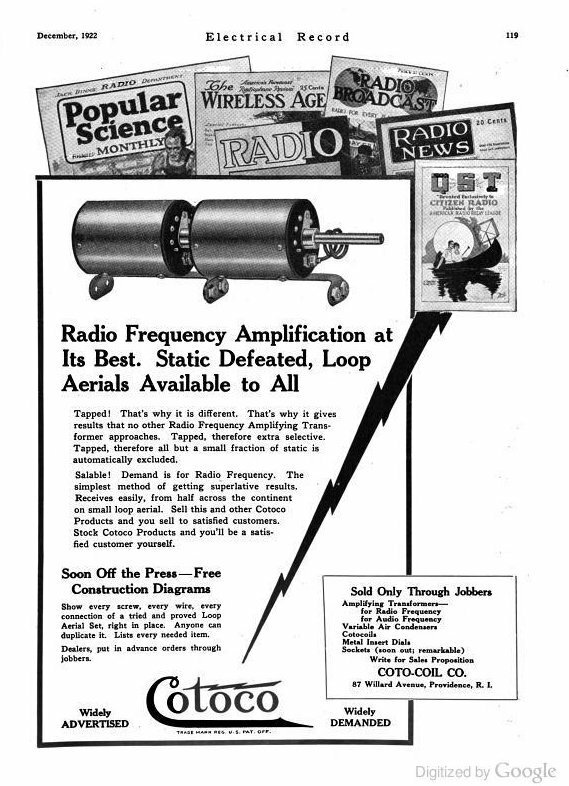 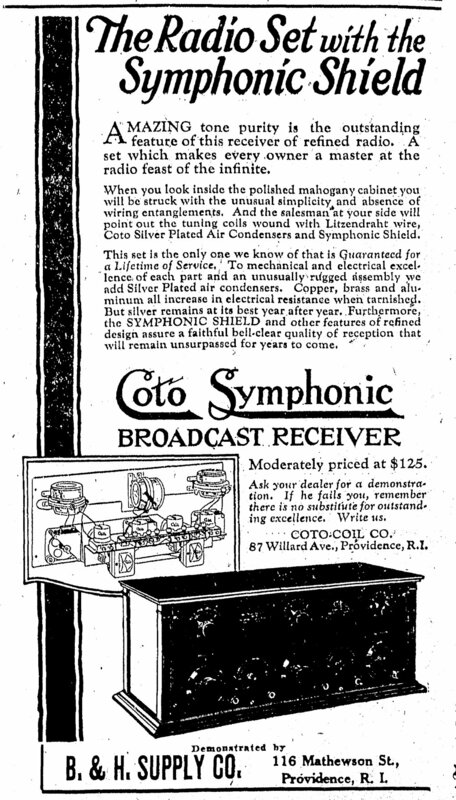 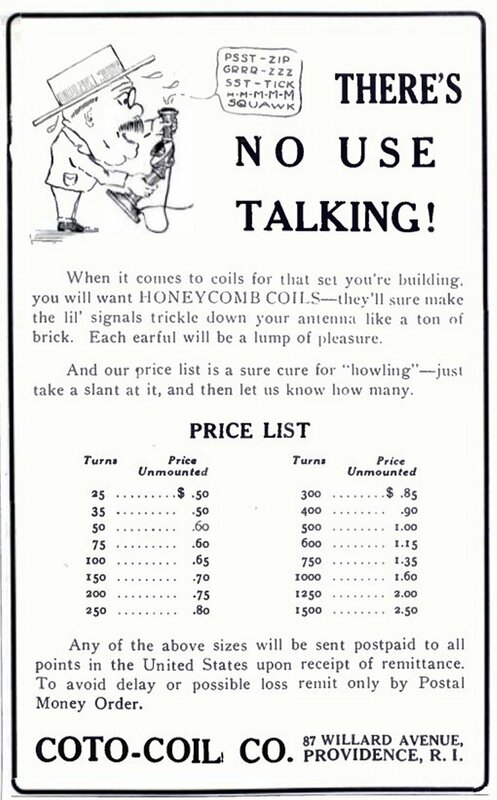 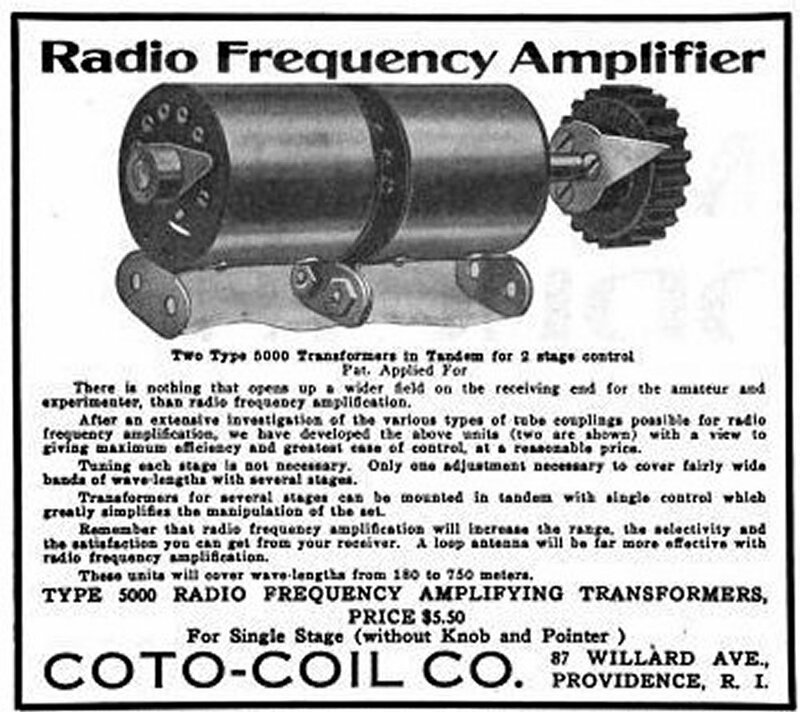 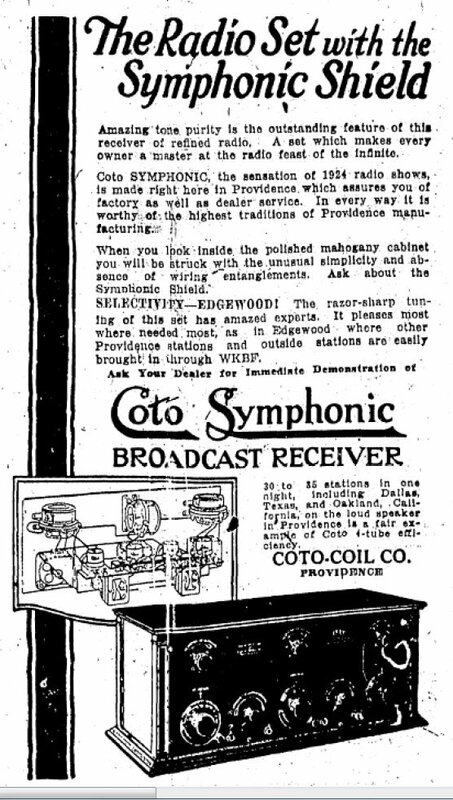 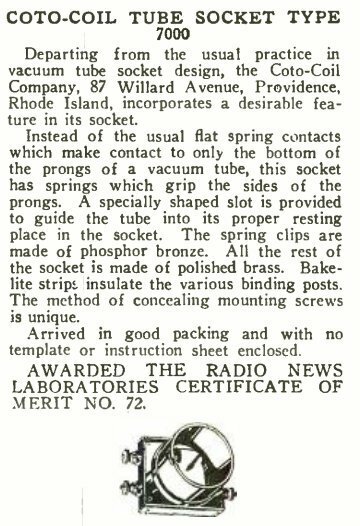 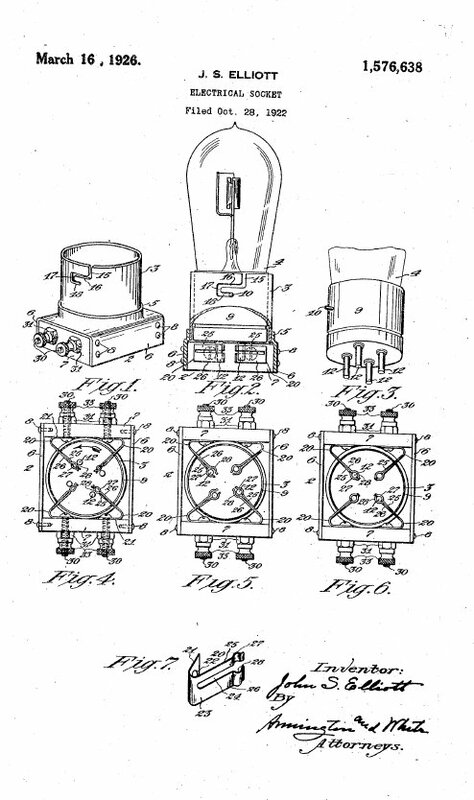 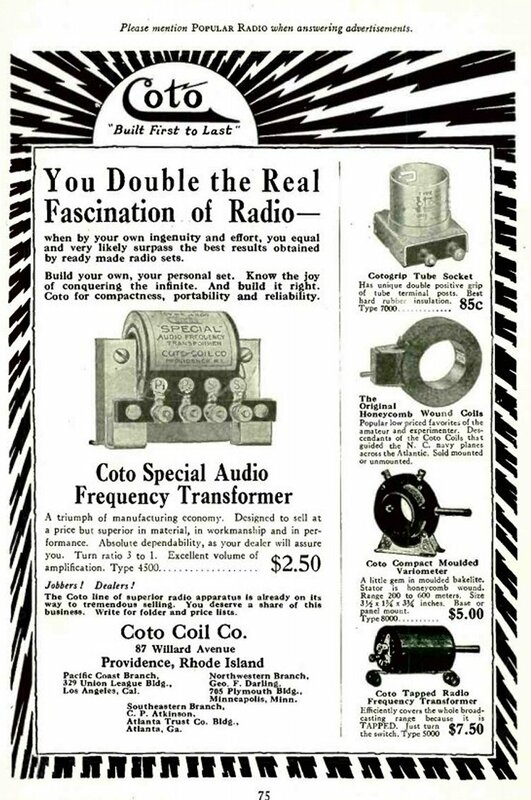 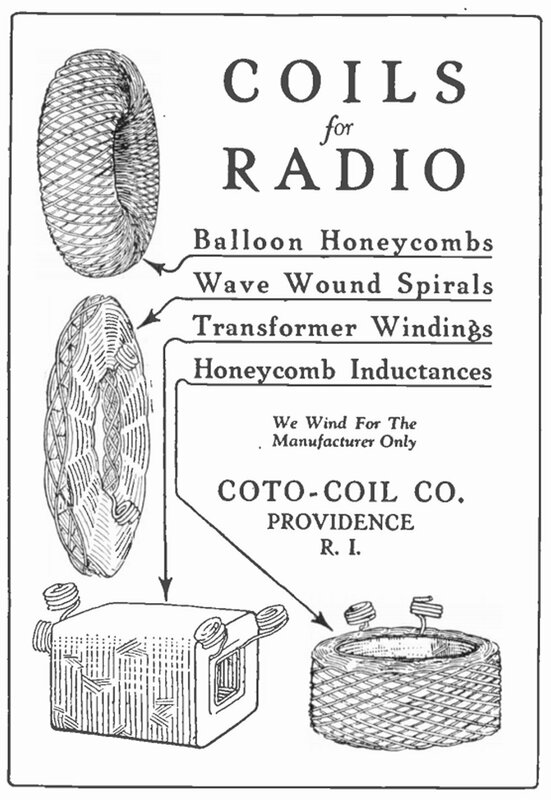 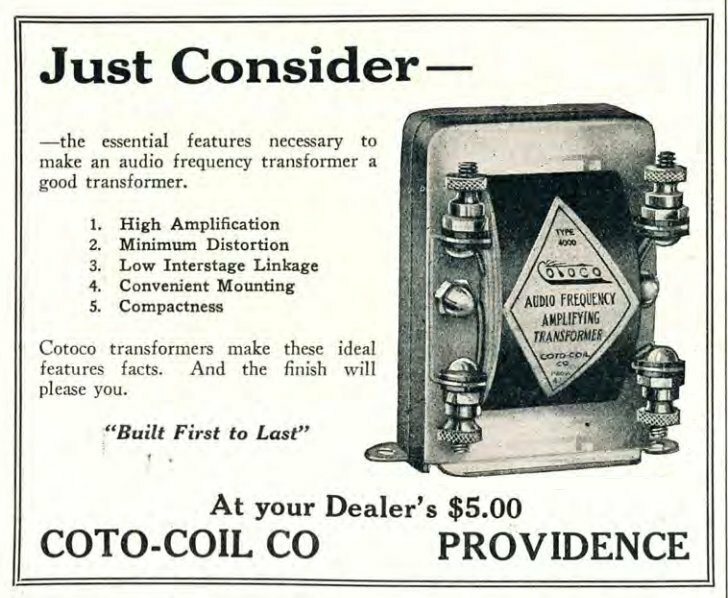 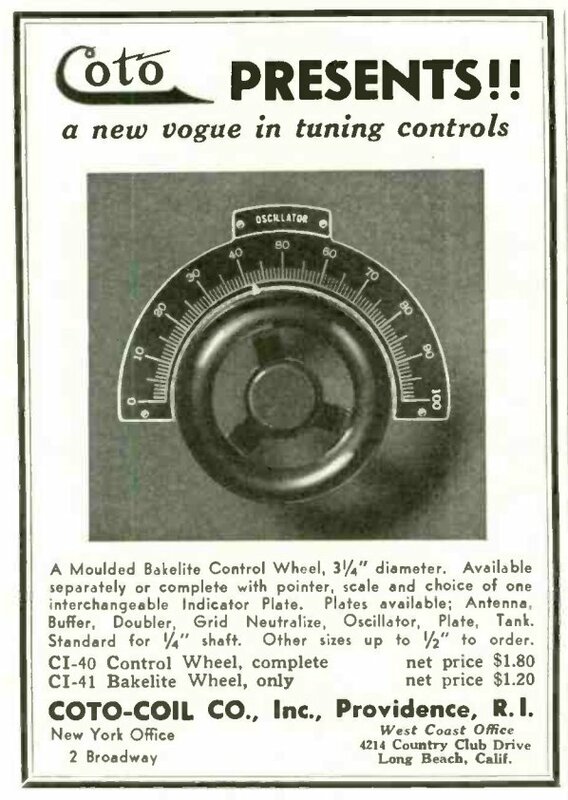 They also made at least one radio receiver as shown in the ad below. 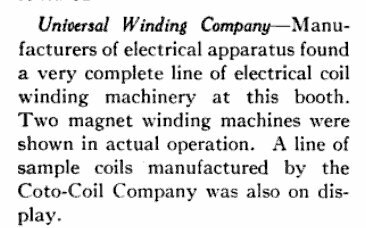 Universal Windong eventually became the Leesona Corp which is still in business today. 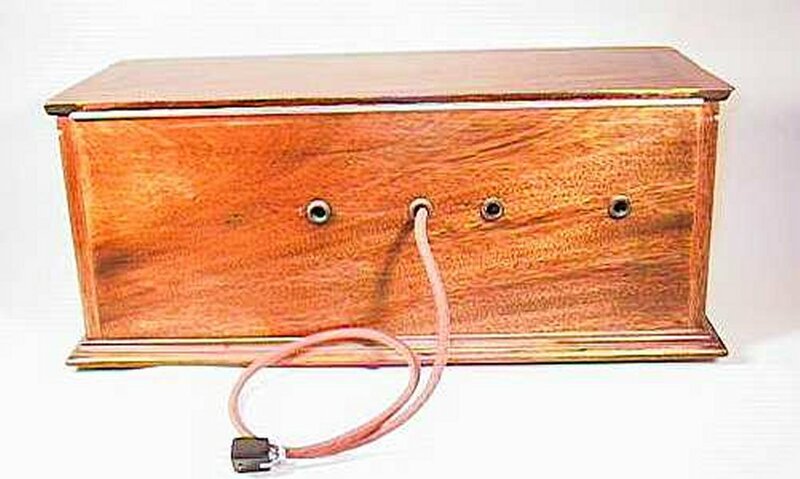 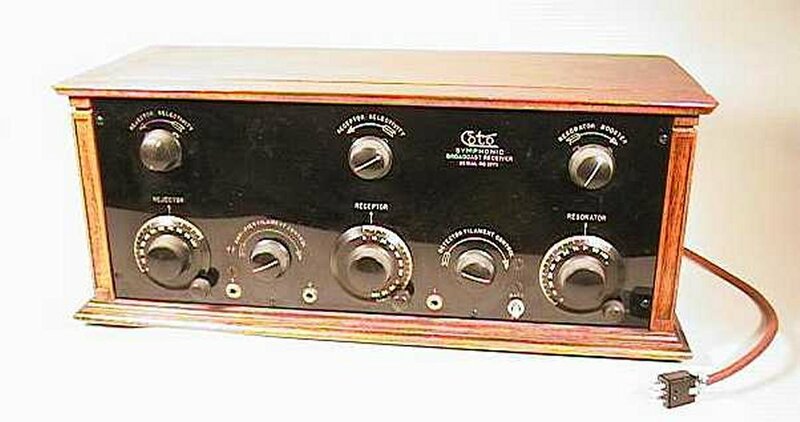 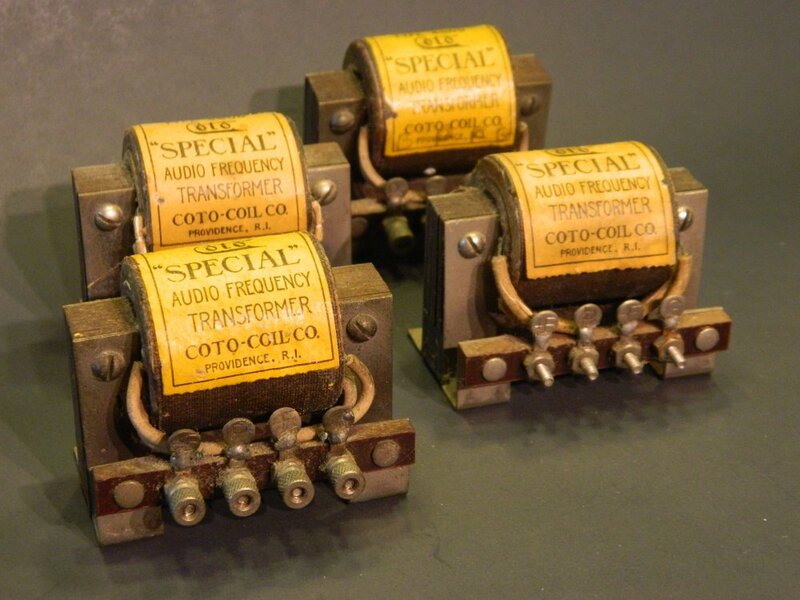 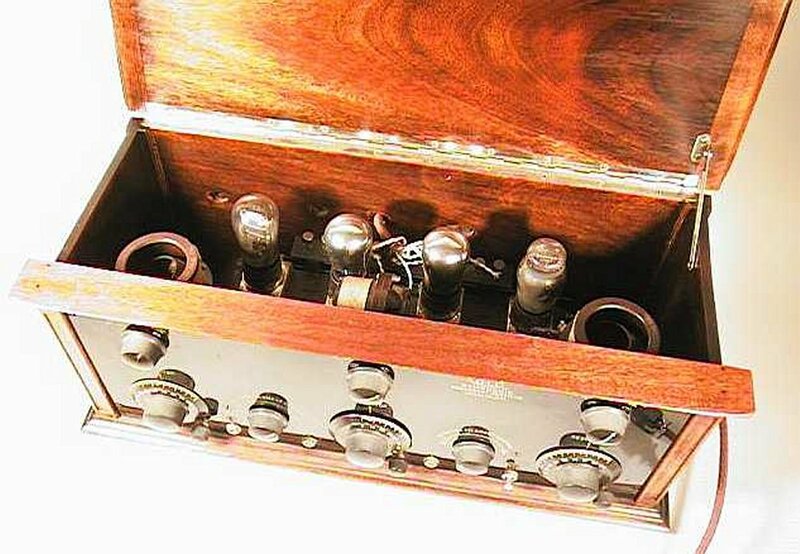 Type 4500 "SPECIAL" Audio Frequency Transformer. 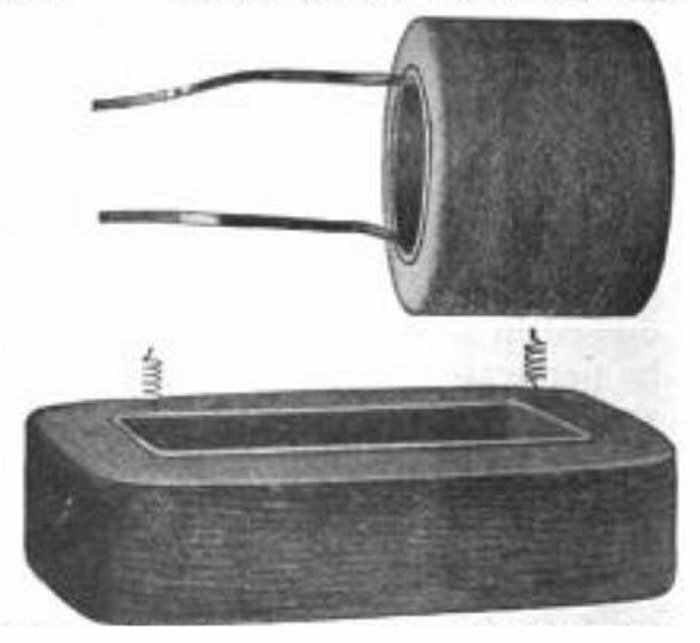 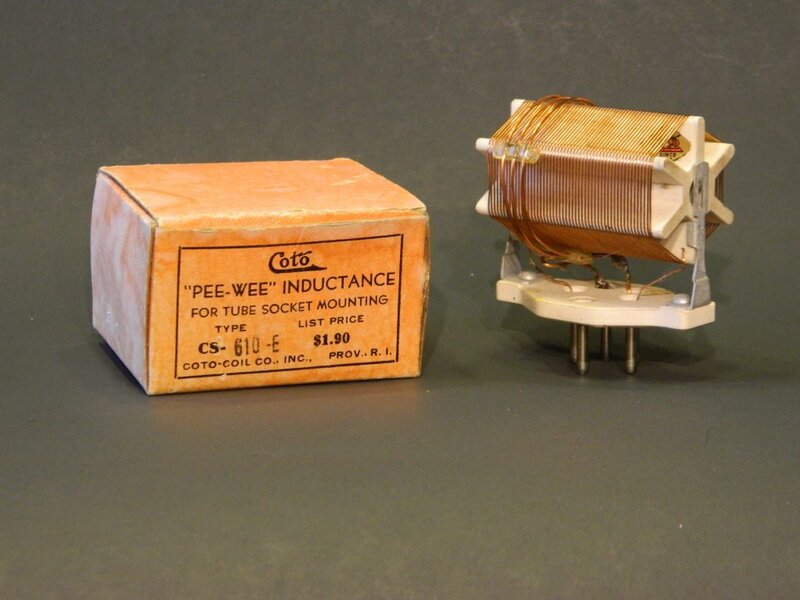 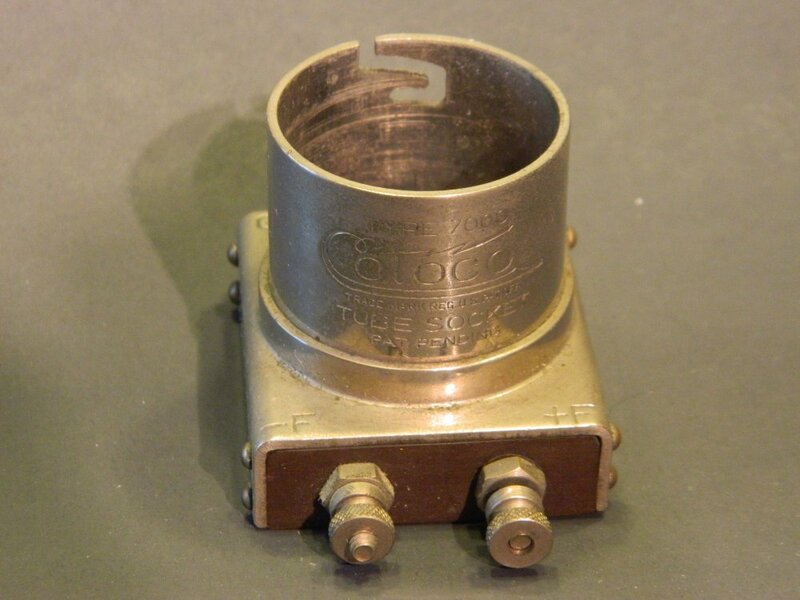 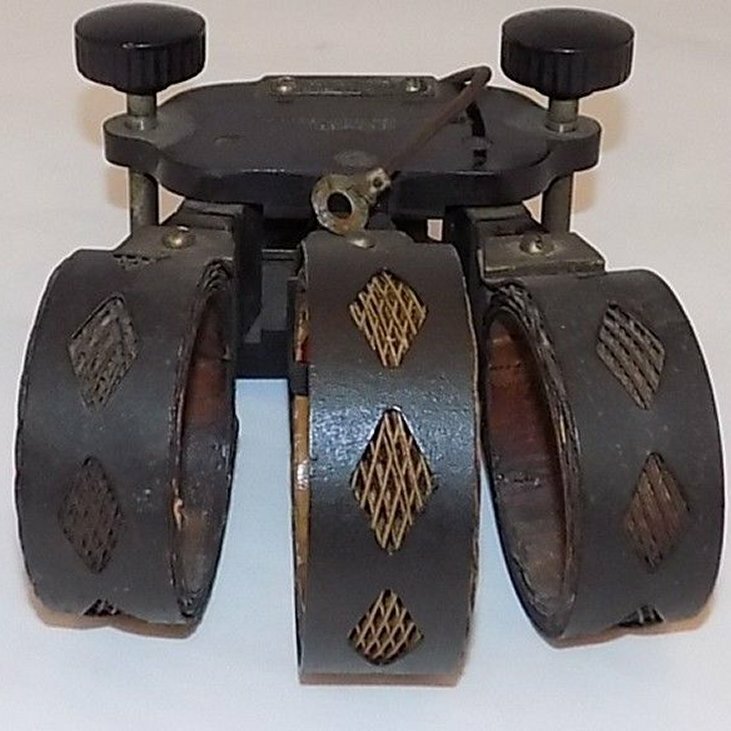 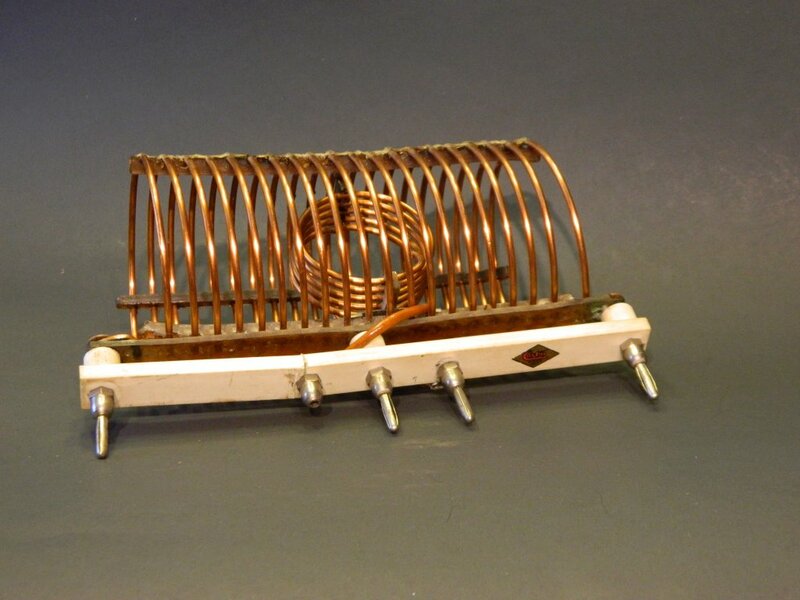 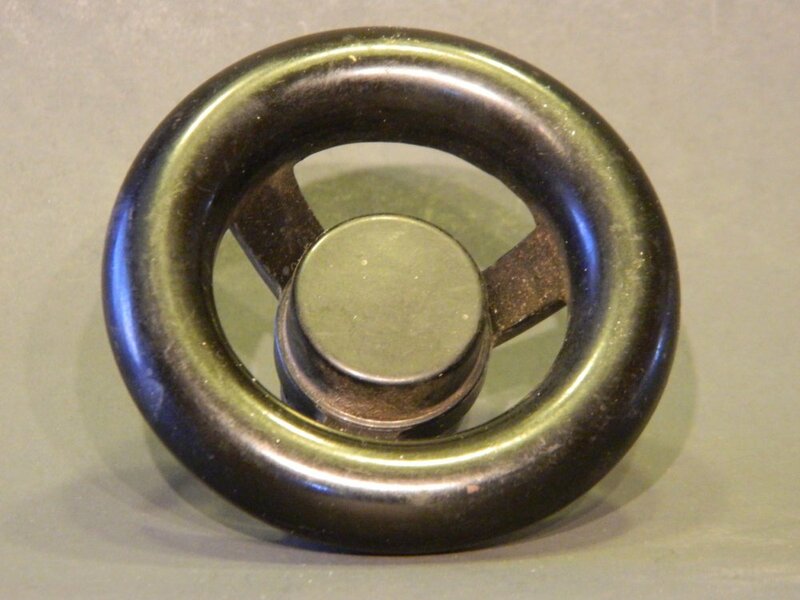 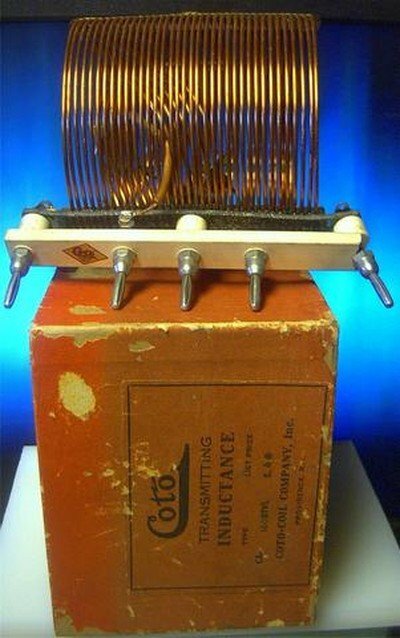 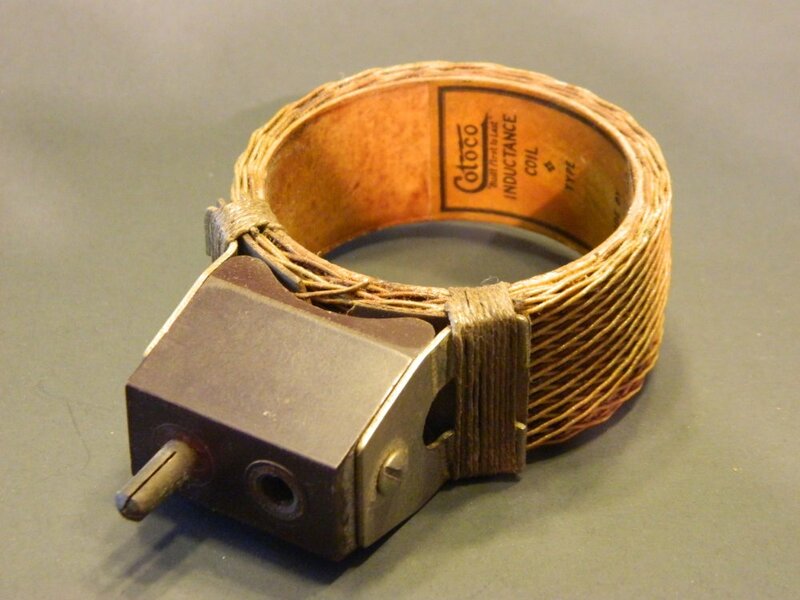 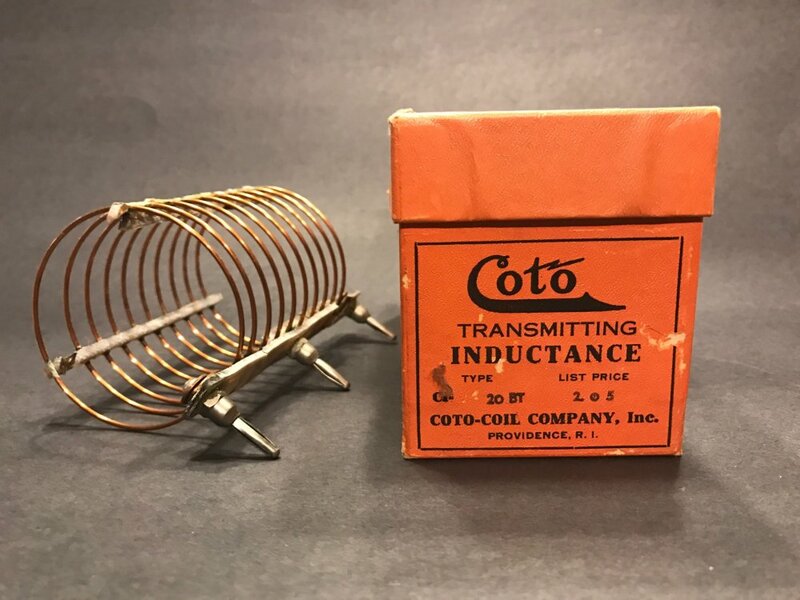 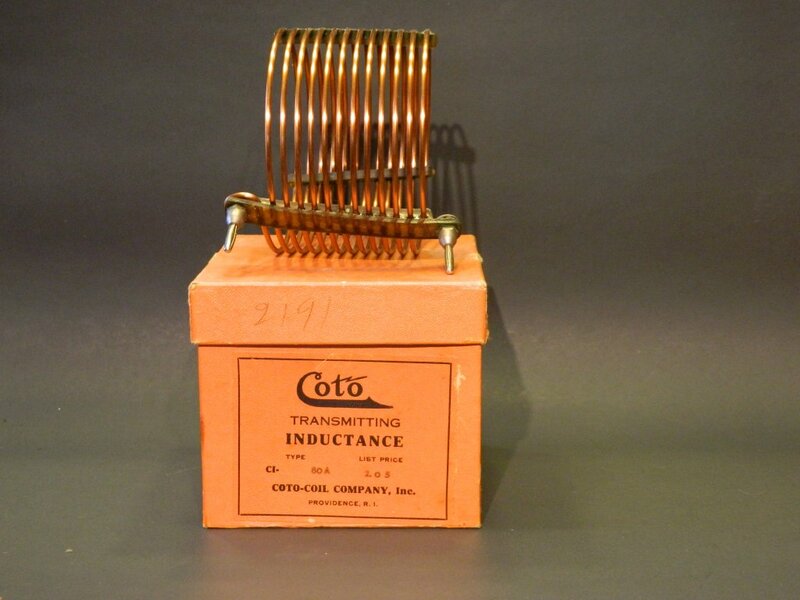 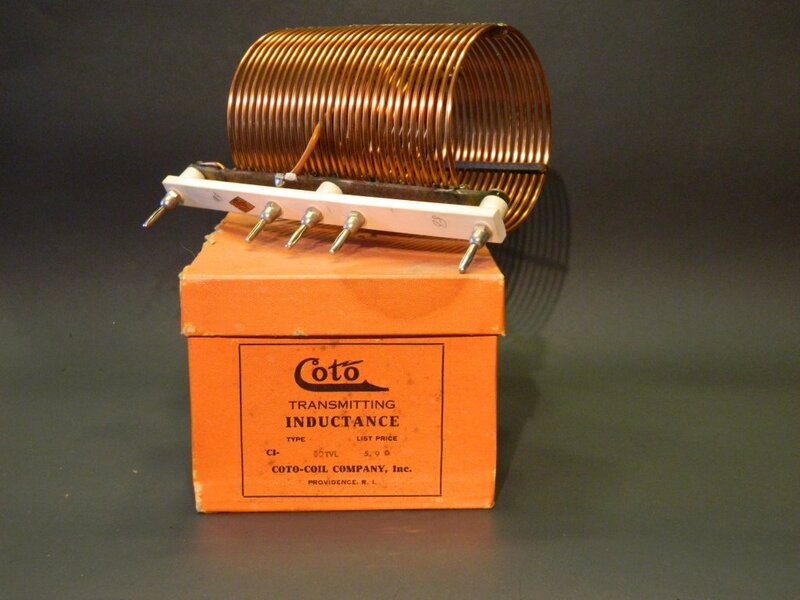 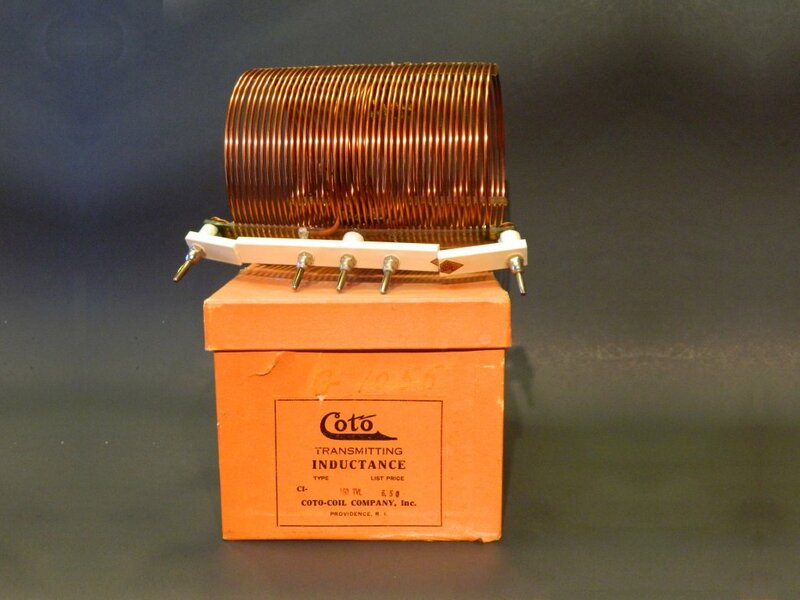 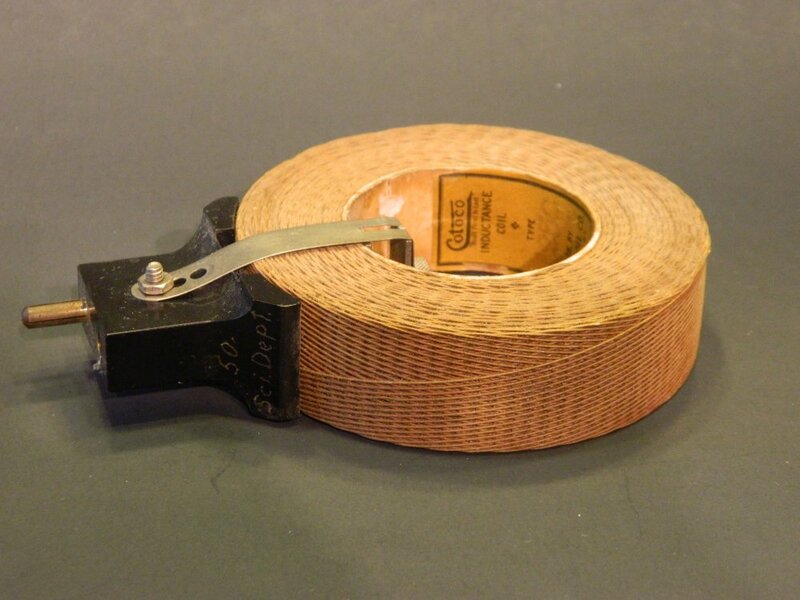 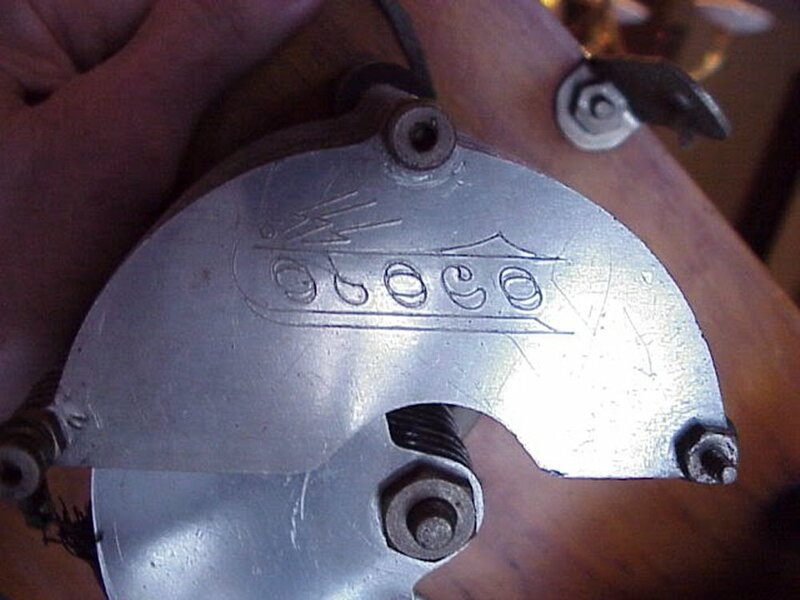 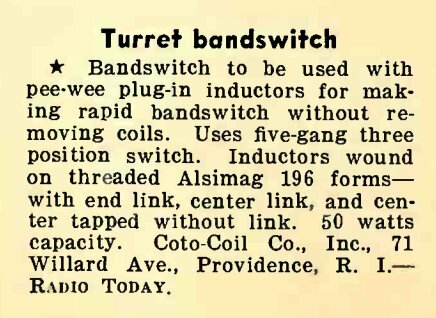 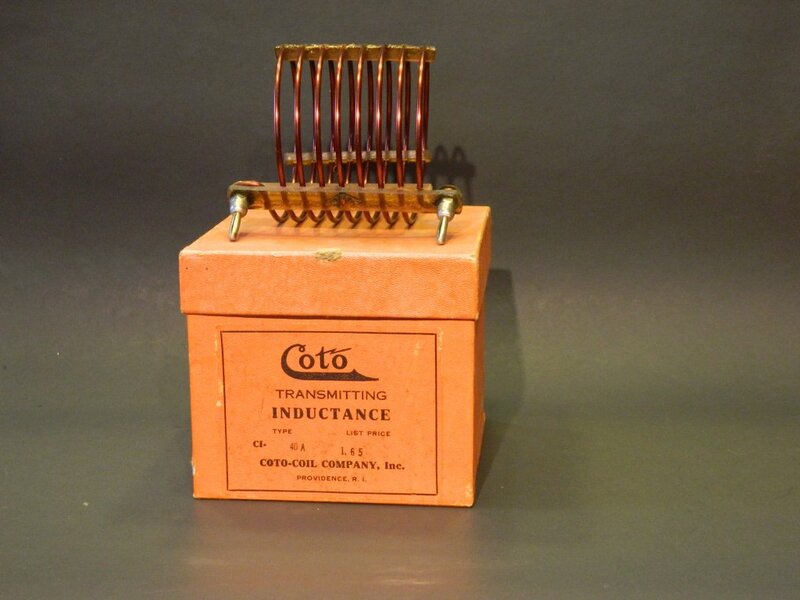 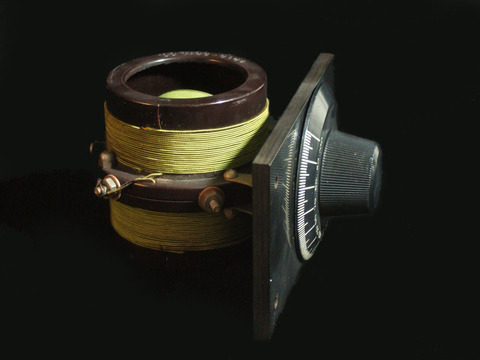 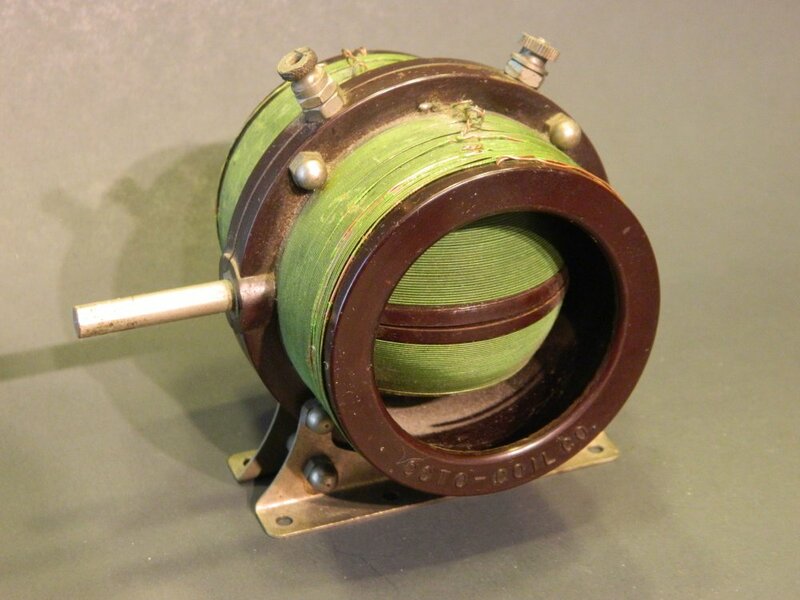 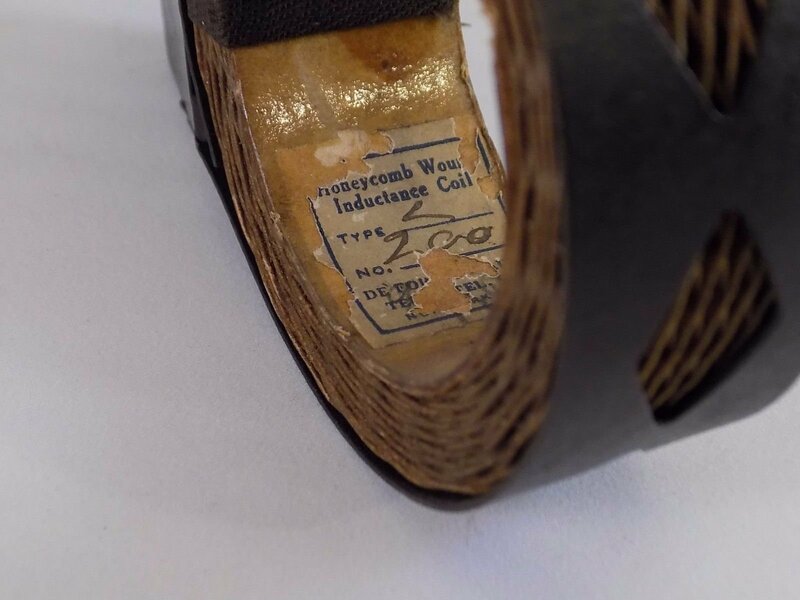 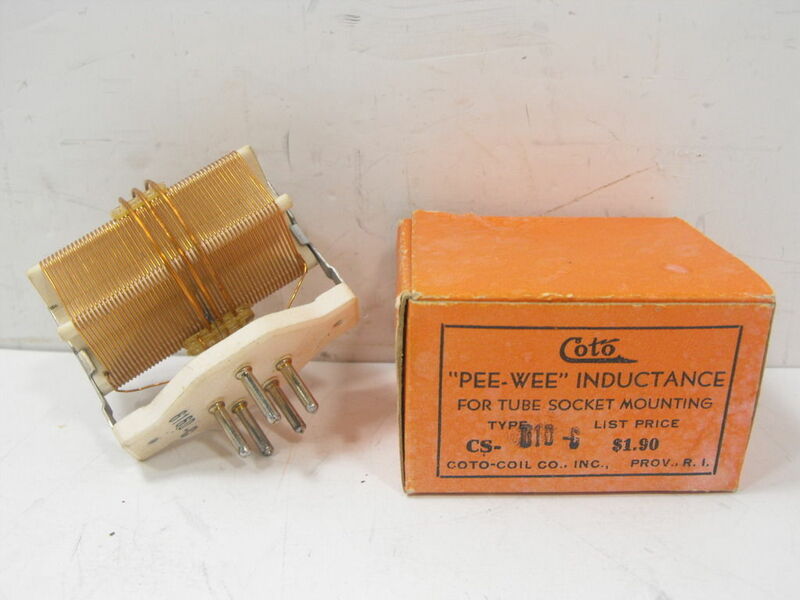 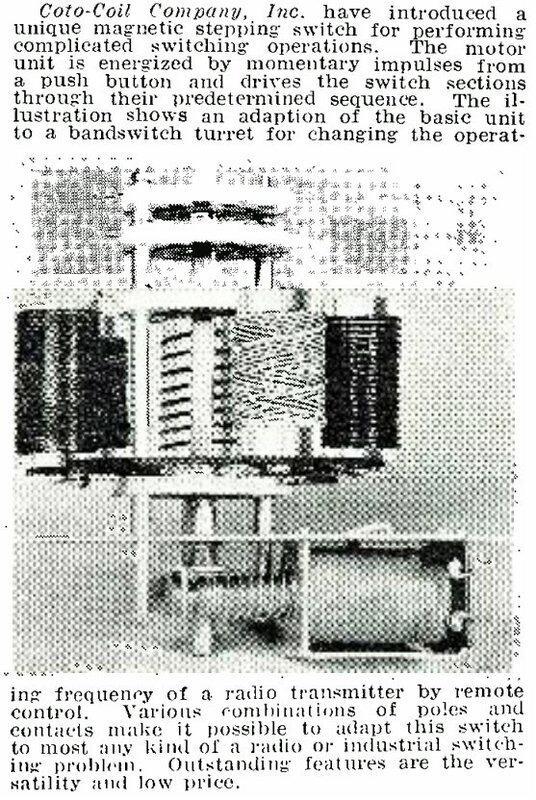 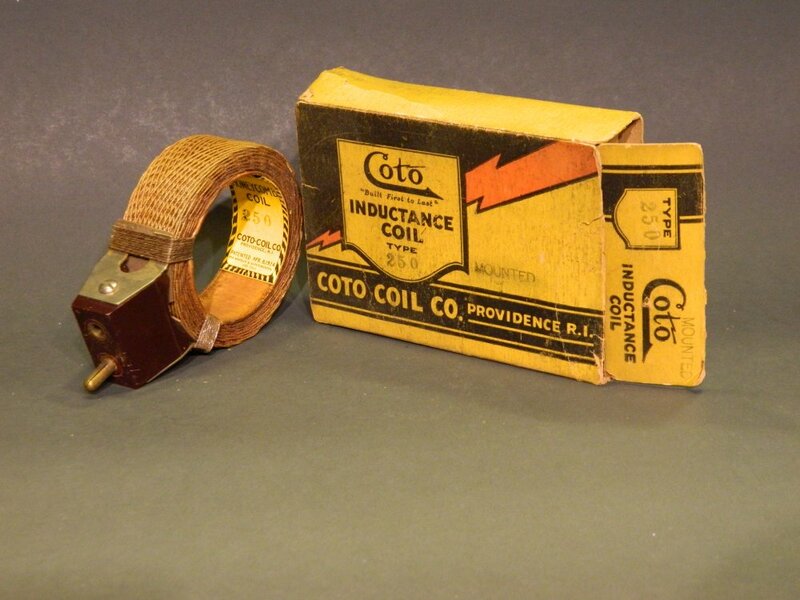 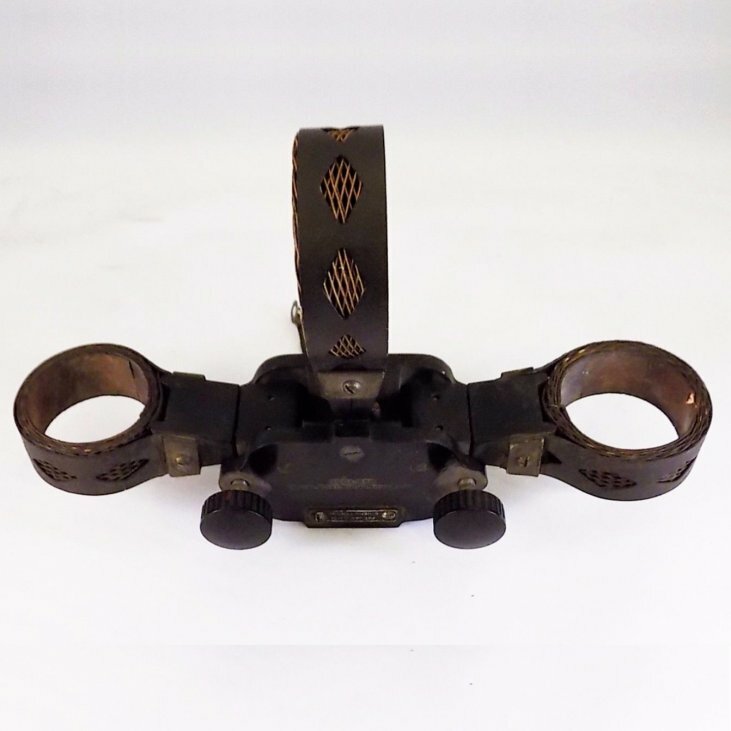 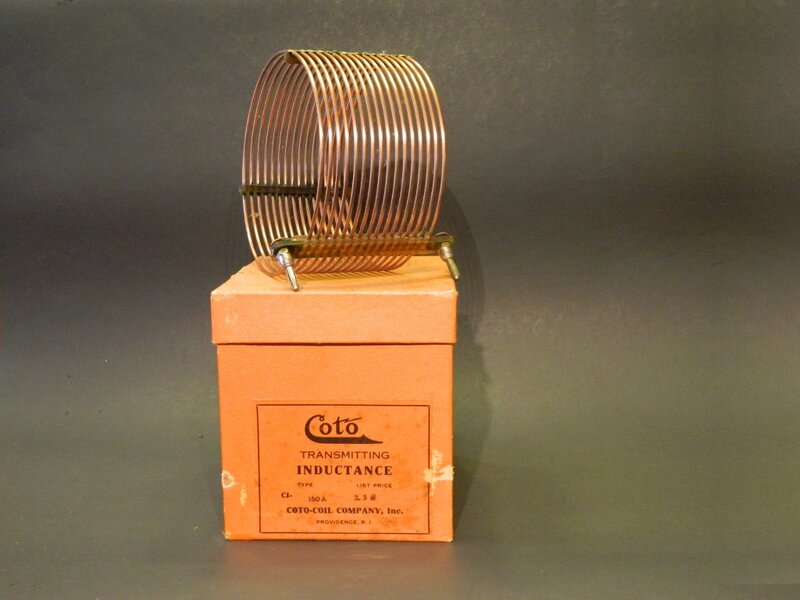 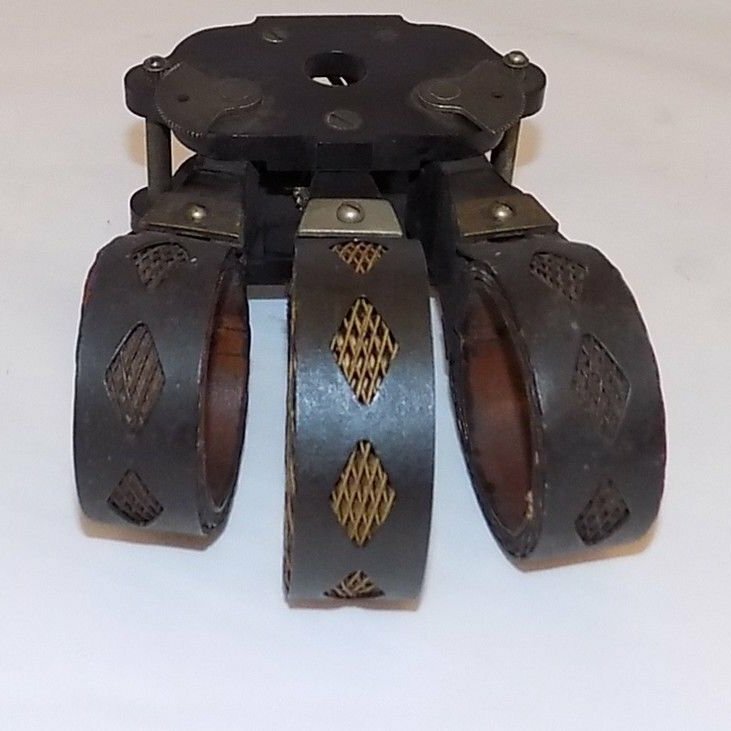 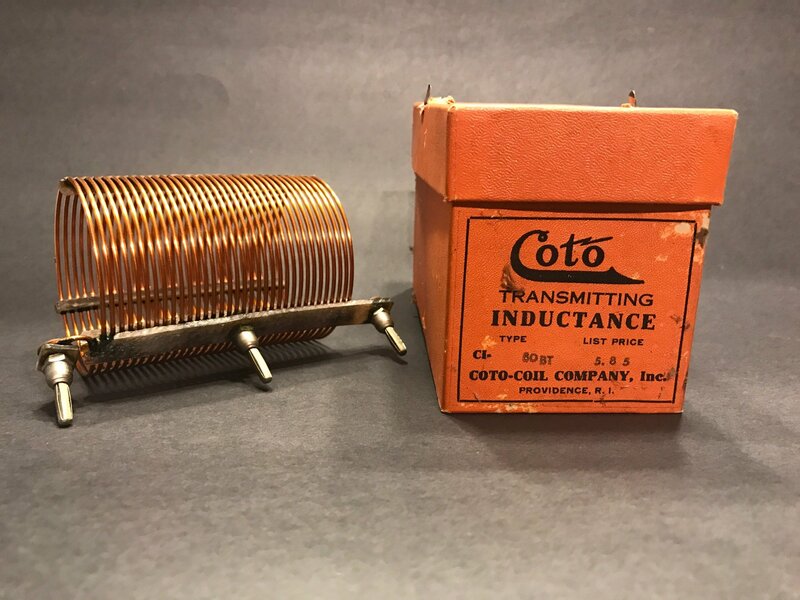 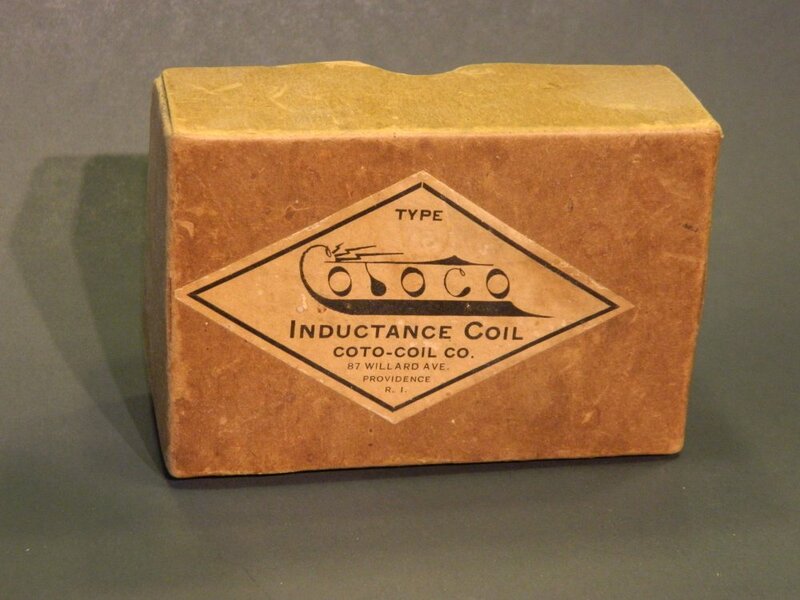 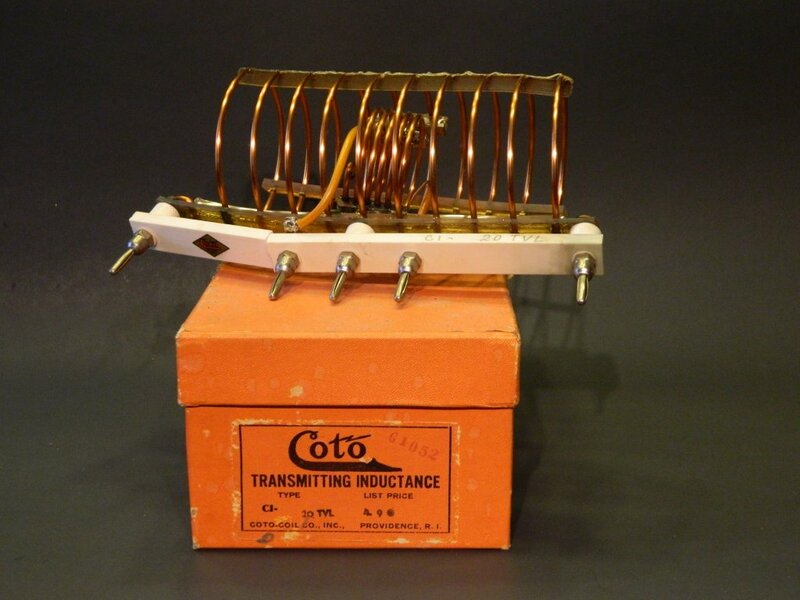 Inductance Coil, "Duo-Lateral" Type 75. 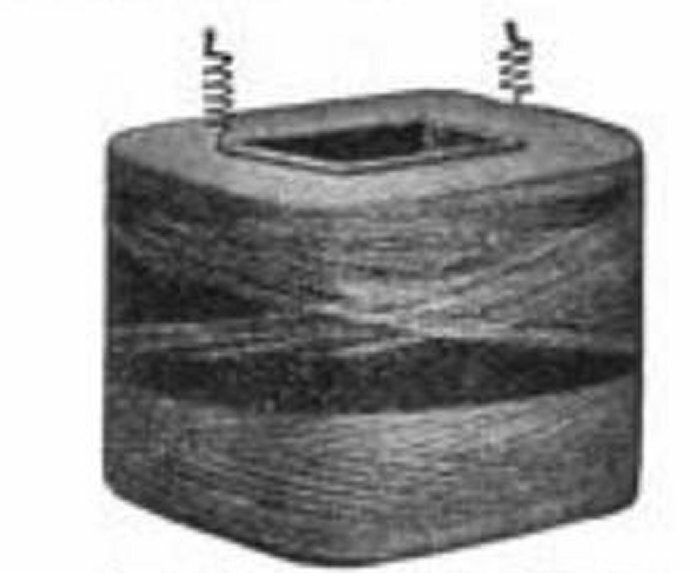 Single and two ganged together. 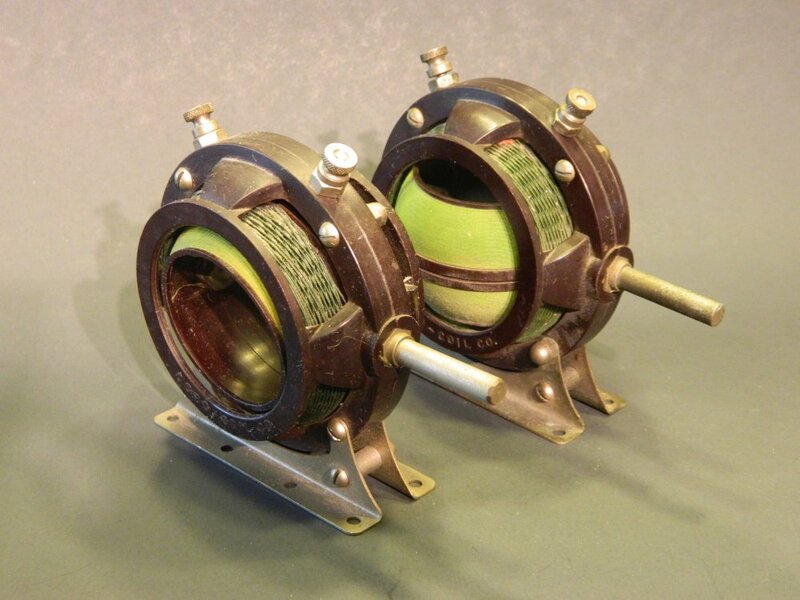 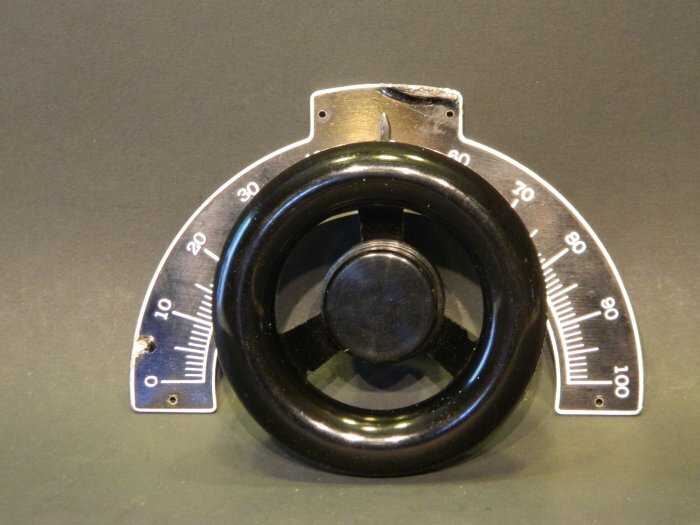 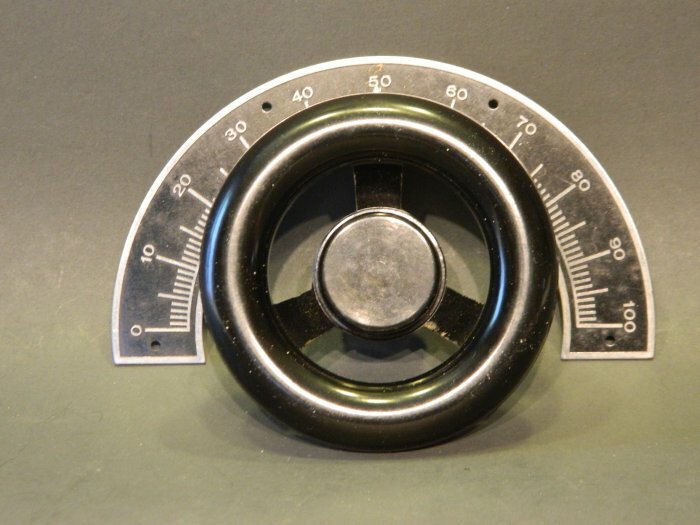 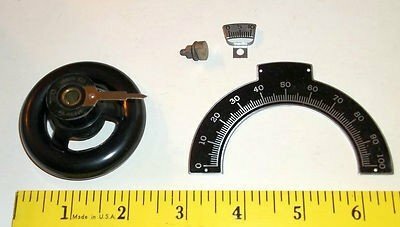 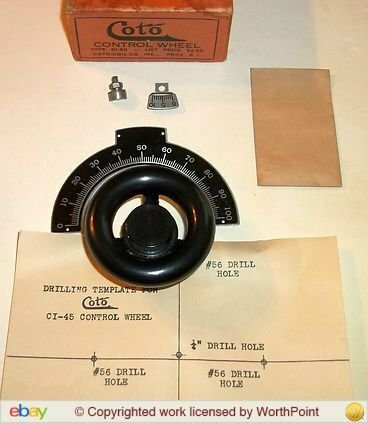 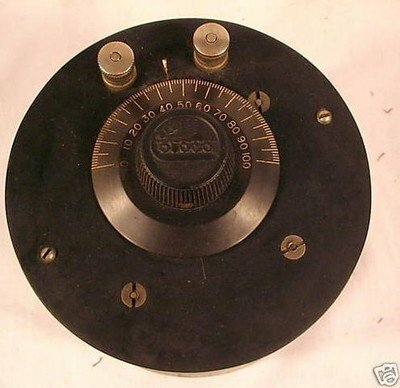 Type 8000 Compact Bakelite Variometer. 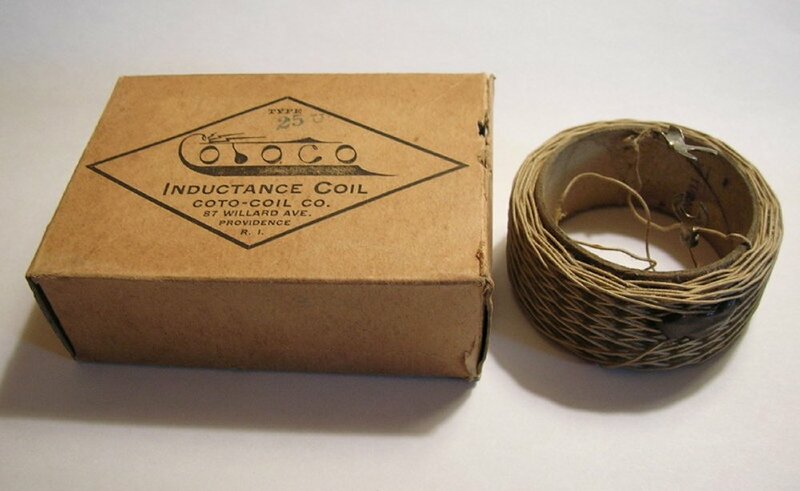 Set of "Duo-Lateral" coils very much like Coto-Coil. 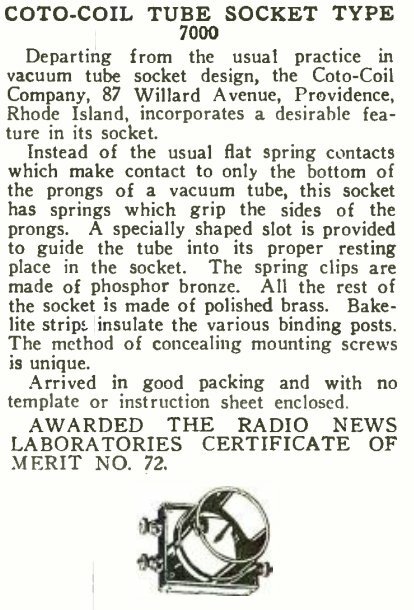 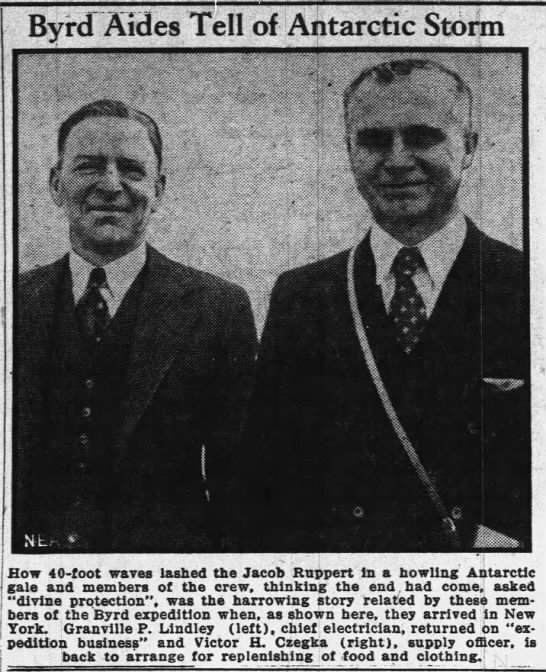 Radio Progress, April 15th, 1924. 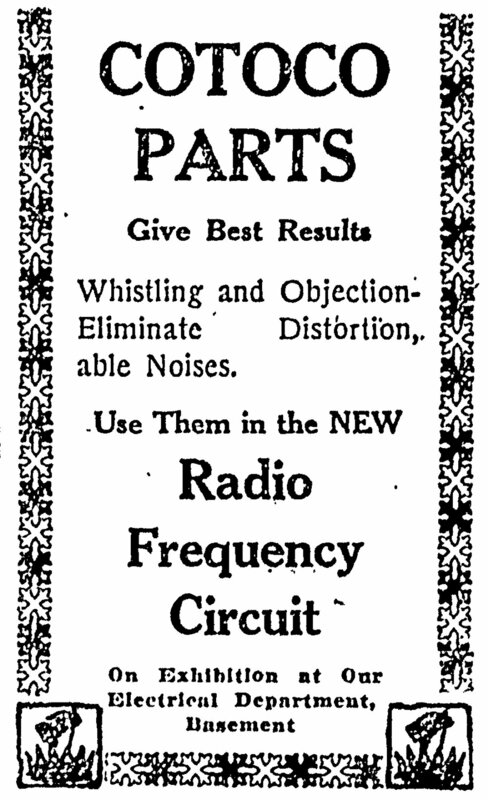 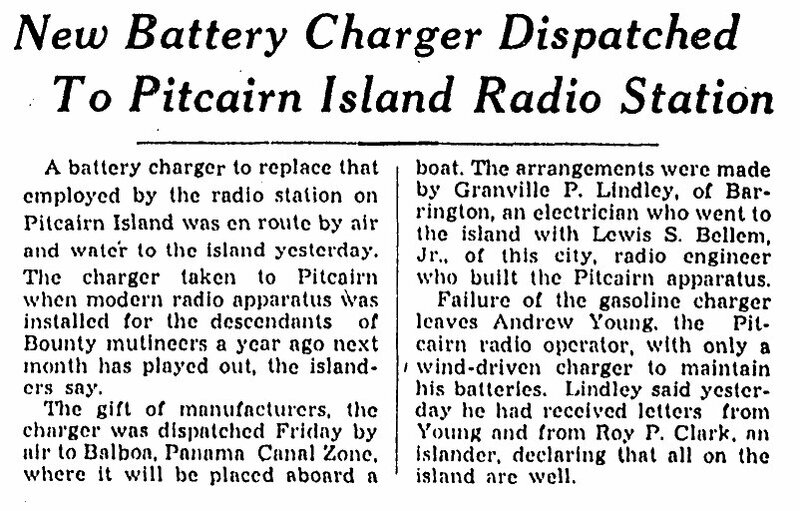 Radio Progress, May 15th, 1924. 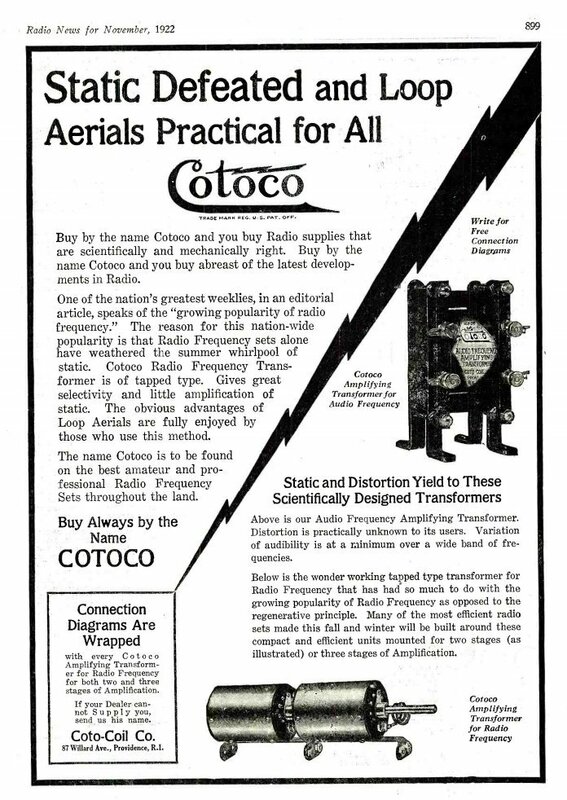 Radio Progress, April 1st, 1924. 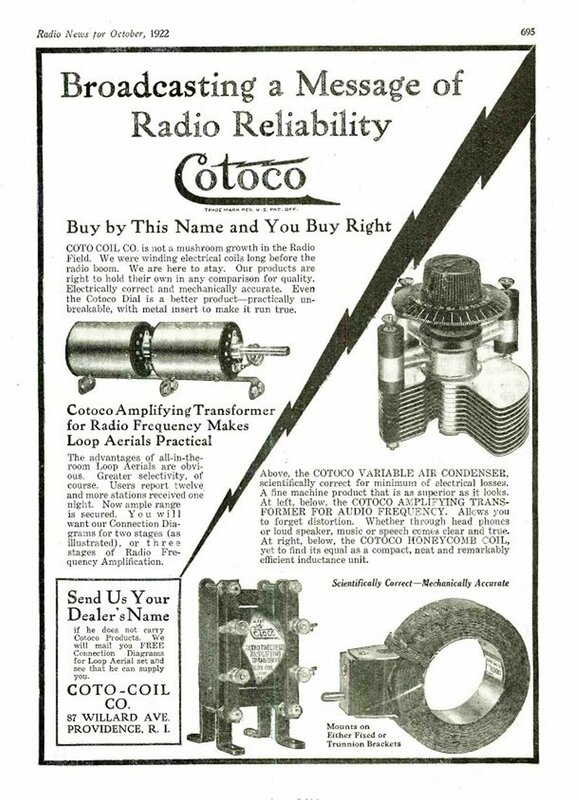 Radio Progress, May 1st, 1924. 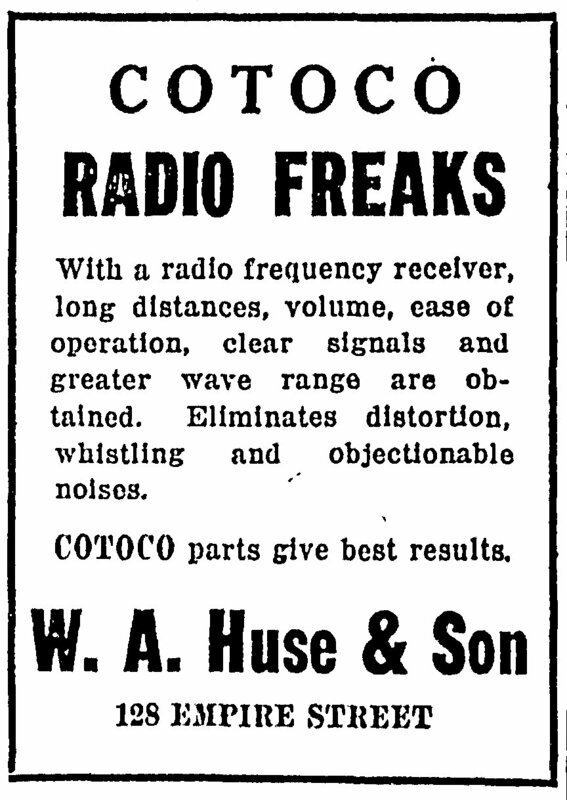 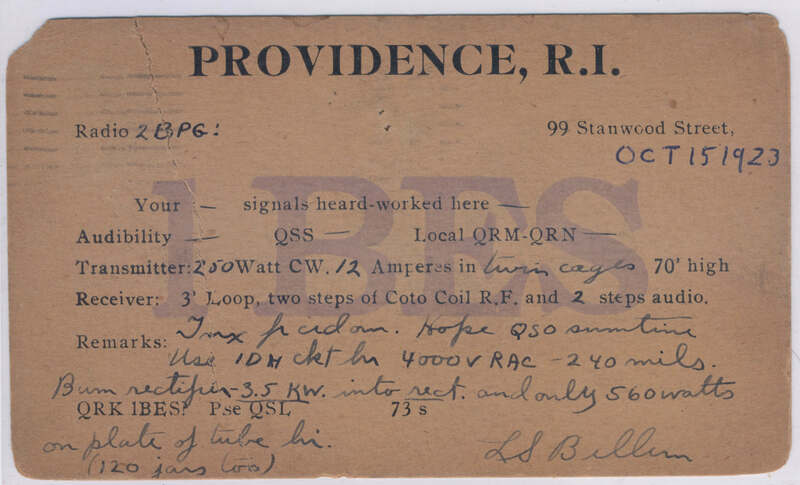 Radio Progress, July 1st, 1924. 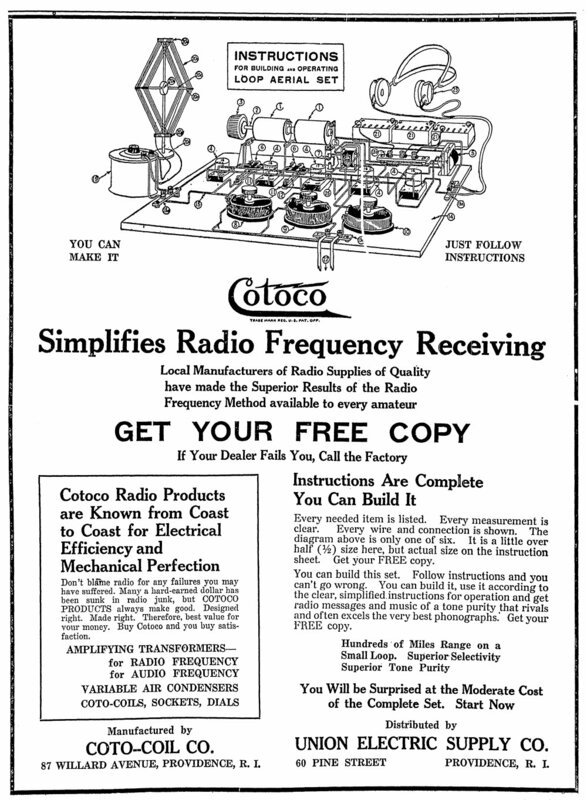 Citizens Radio Call Book, May, 1923. 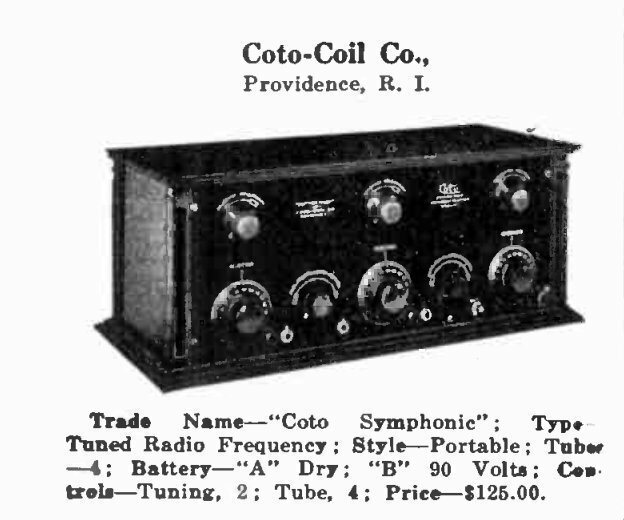 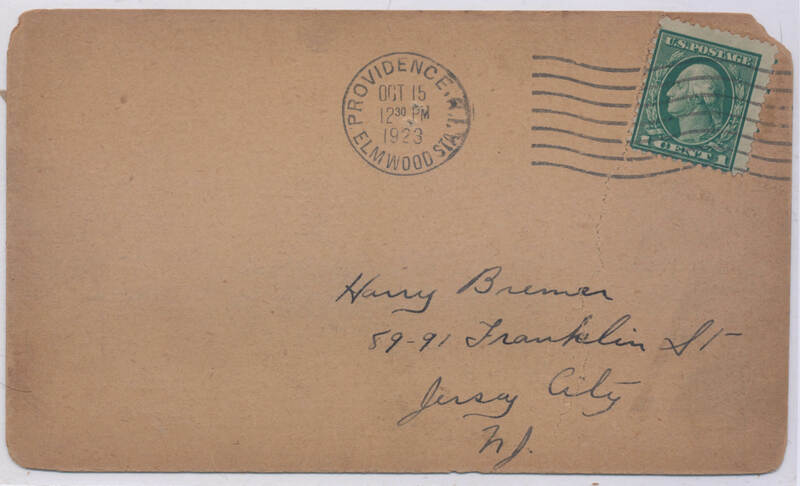 Citizens Radio Call Book, Fall, 1924. 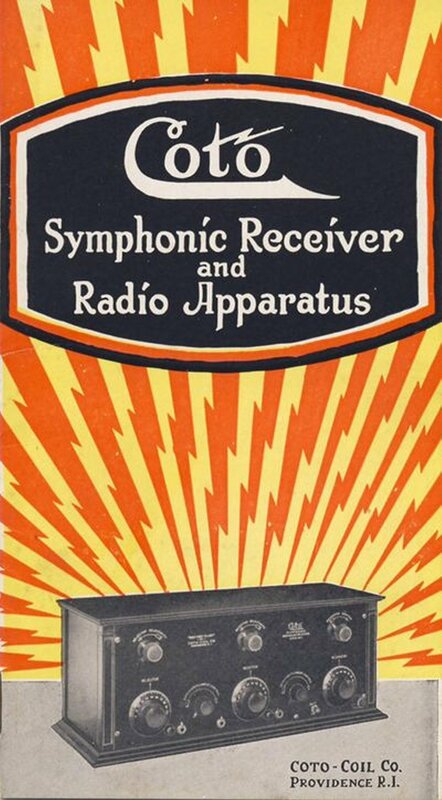 The Radio Trade Directory, 1924. 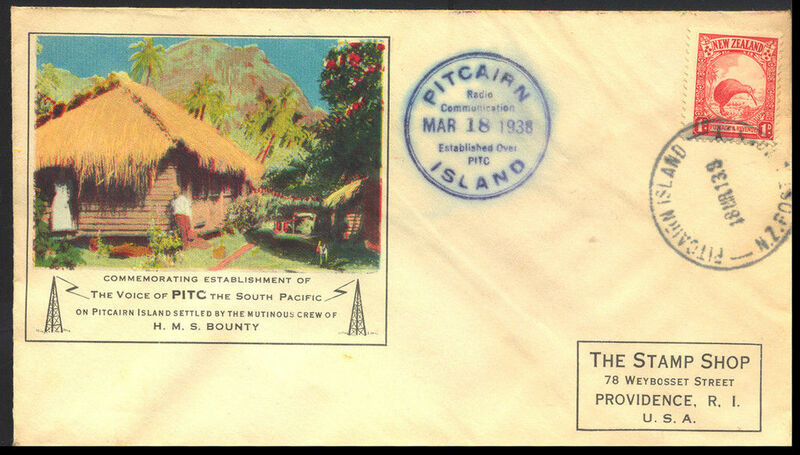 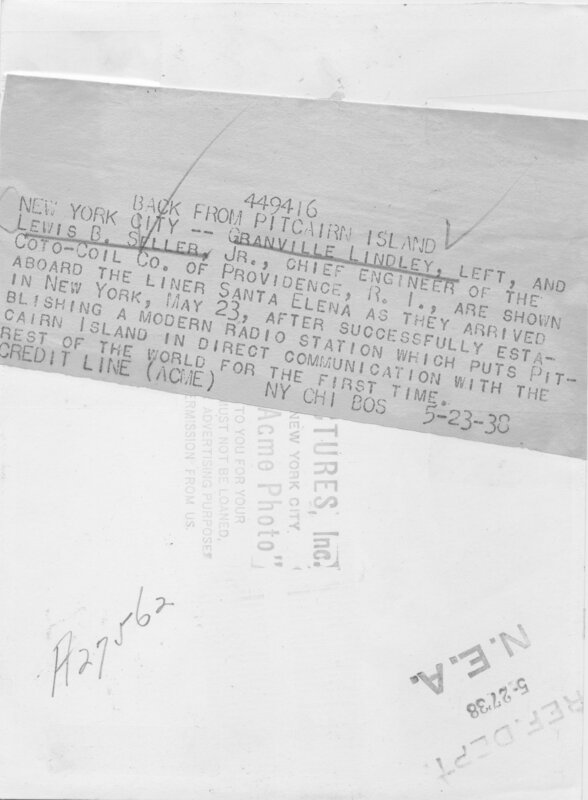 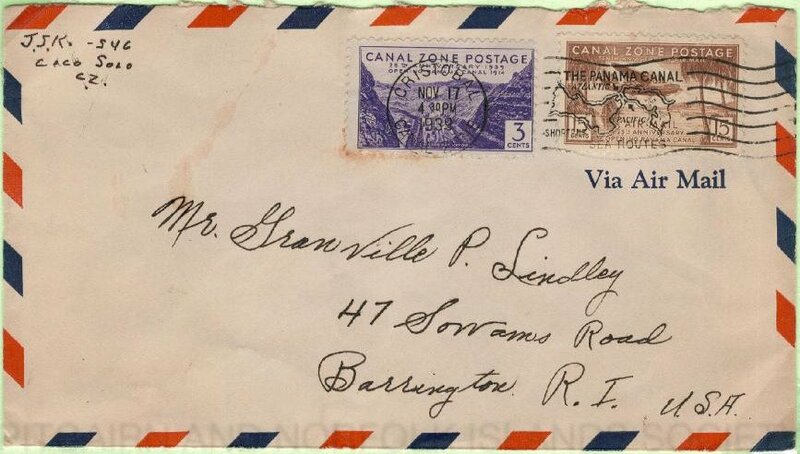 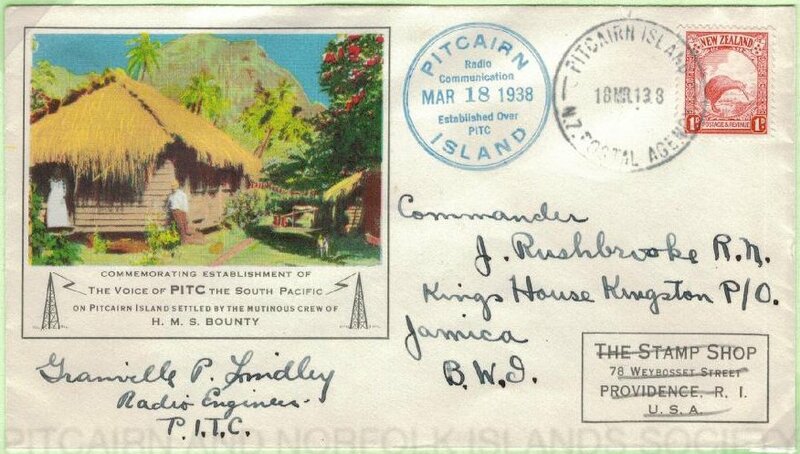 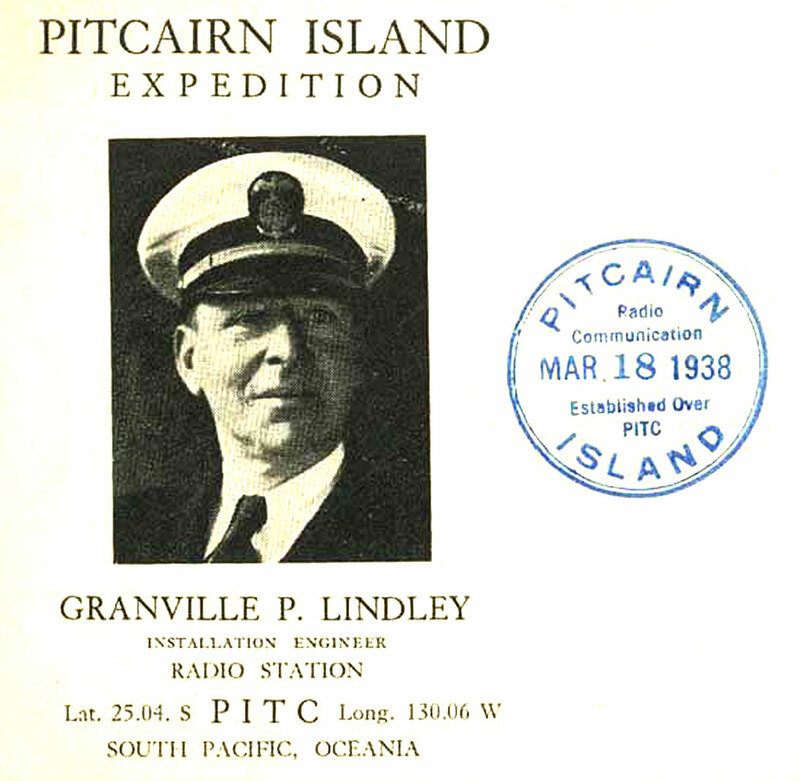 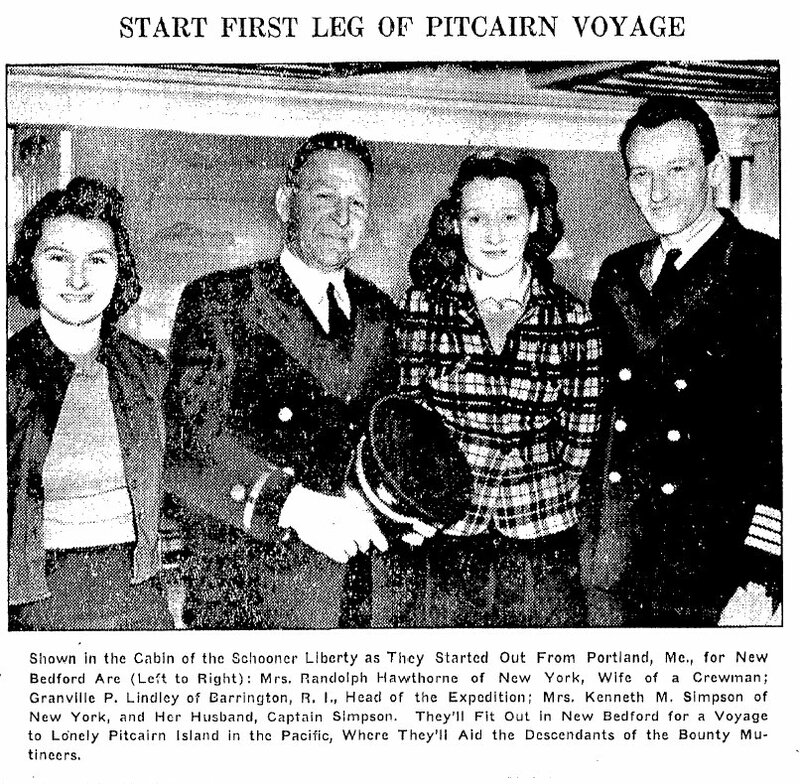 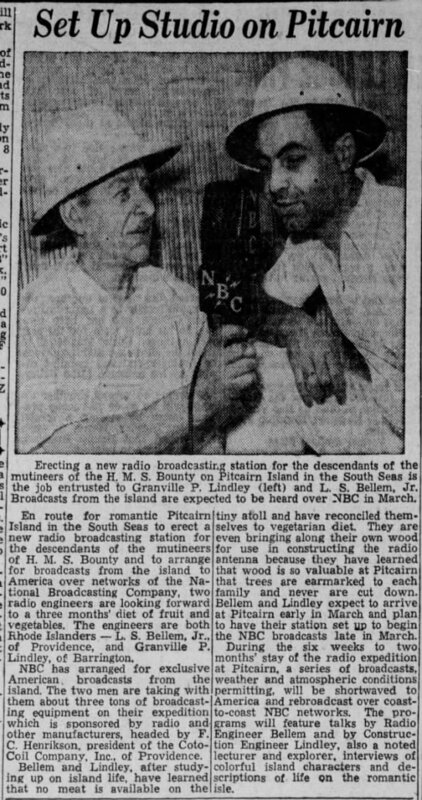 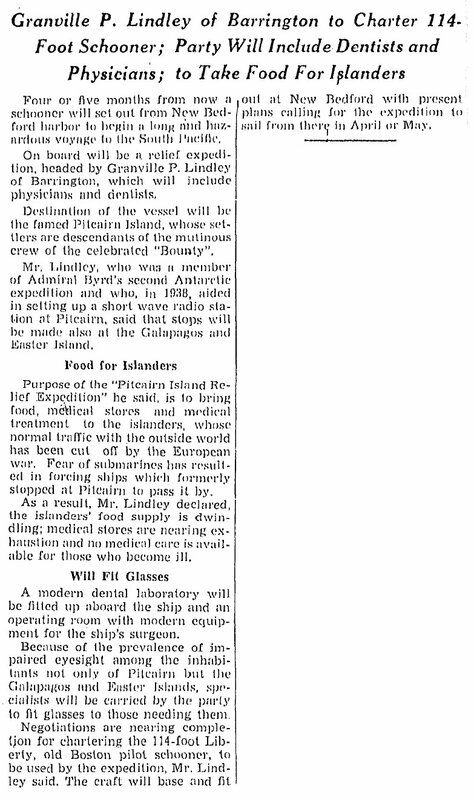 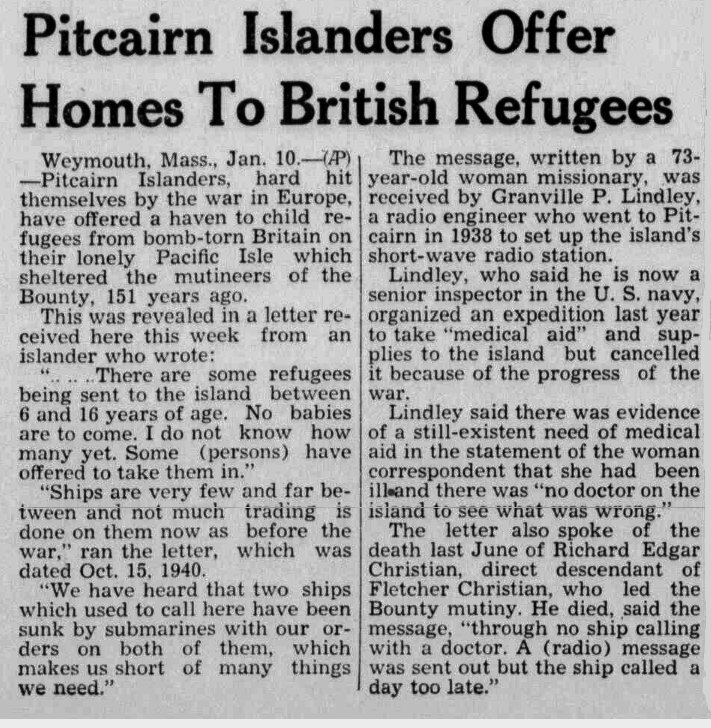 A NEW VOICE FOR "PITC"
Granville P Lindley and L. S. Bellem, Jr. 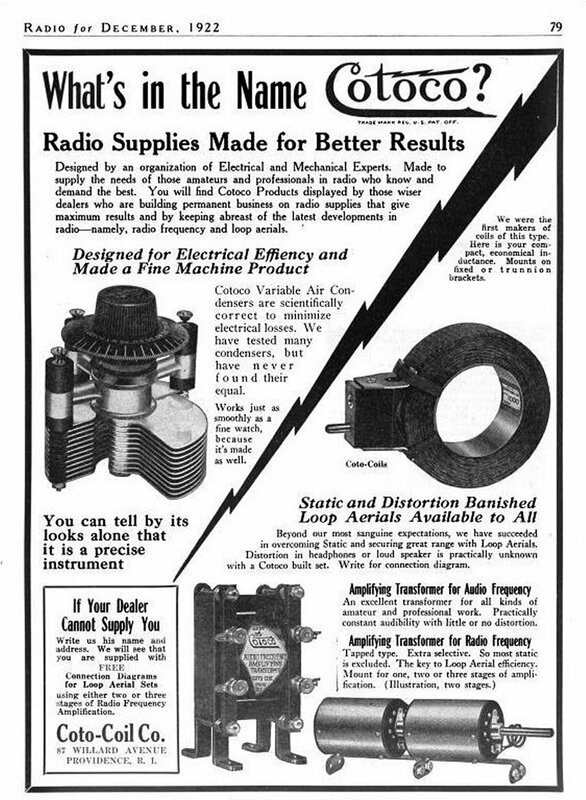 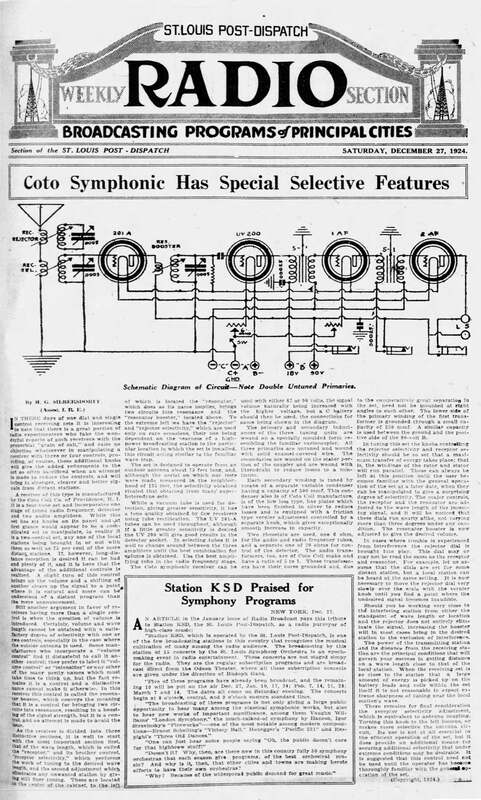 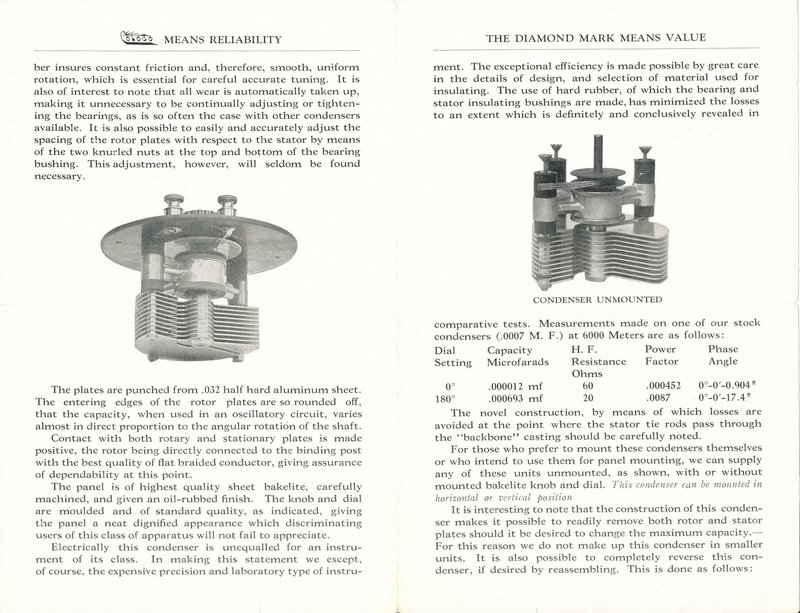 The Edison Monthly VOL10 1917. 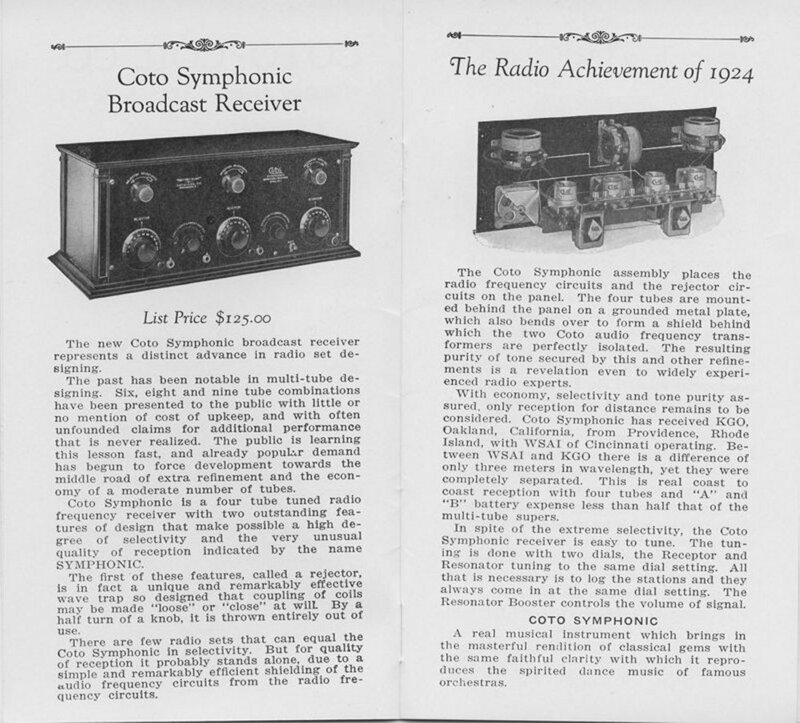 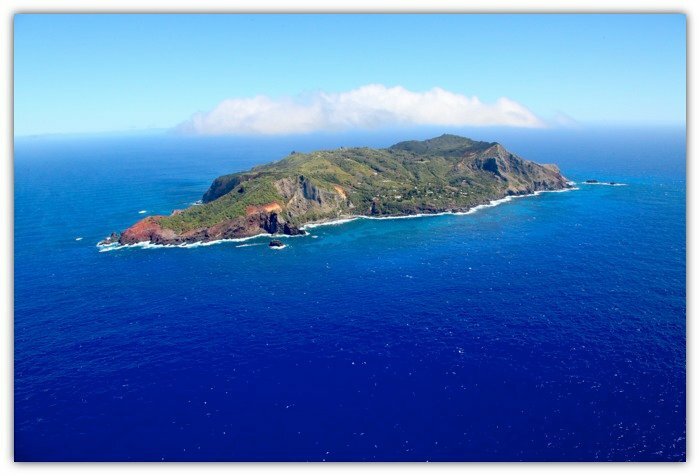 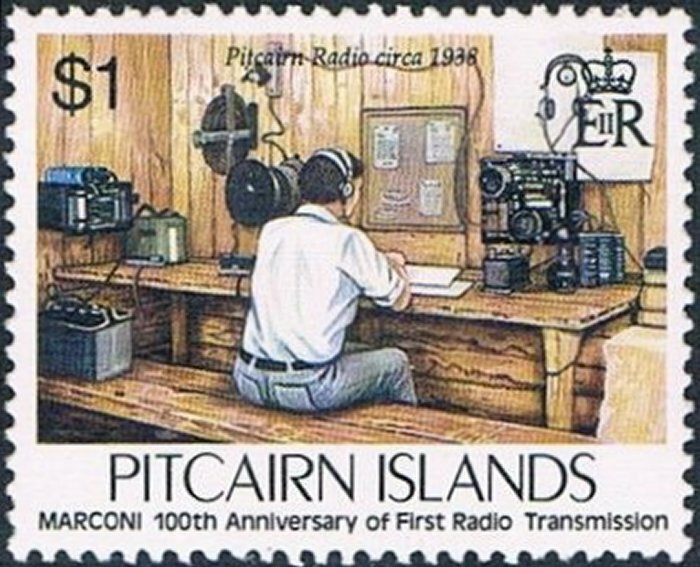 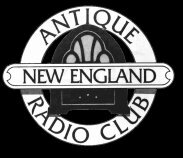 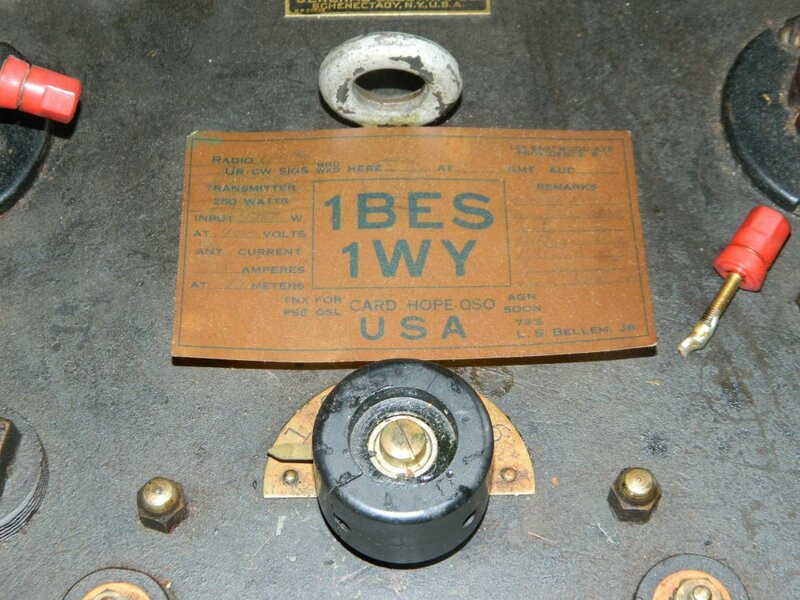 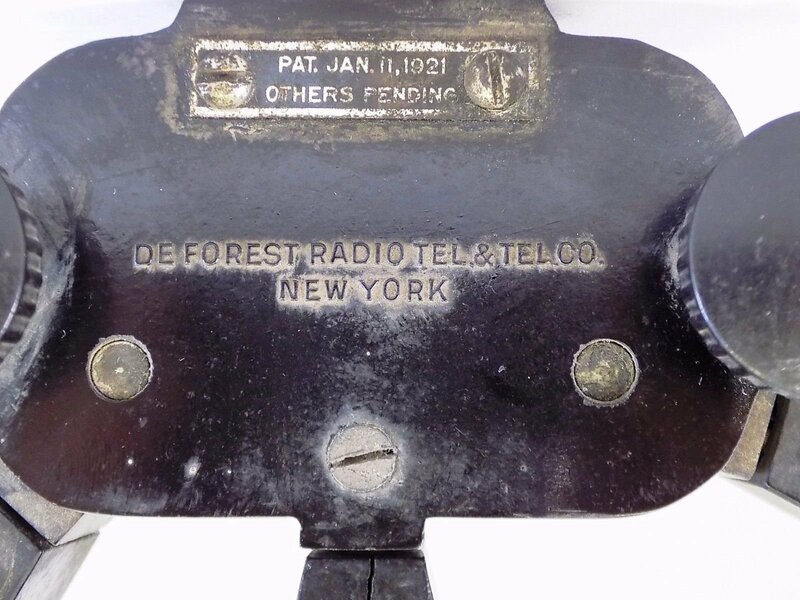 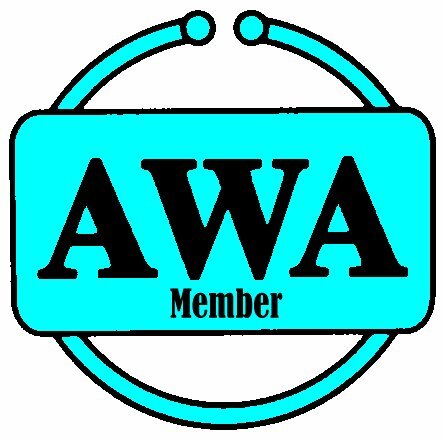 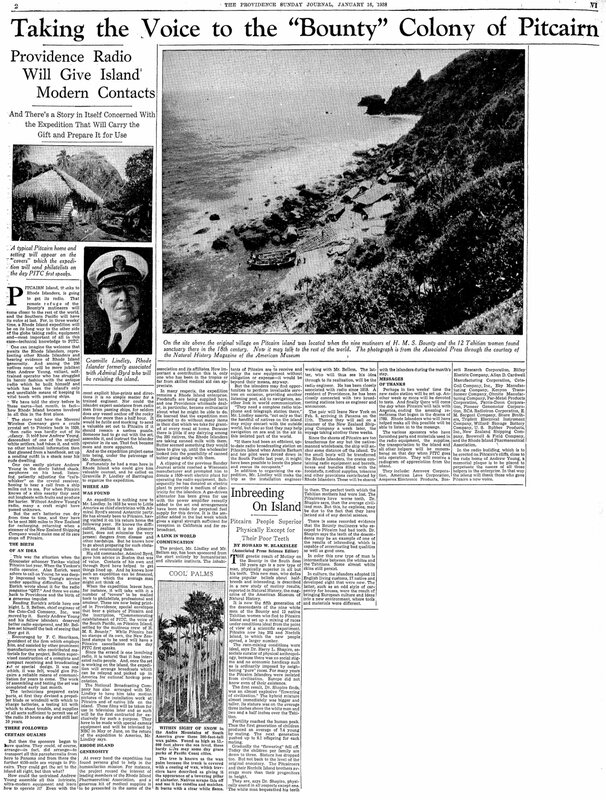 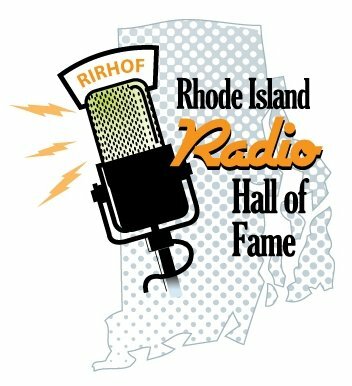 4 The Early Shortwave Stations: A Broadcasting History Through 1945 By Jerome S. Berg.